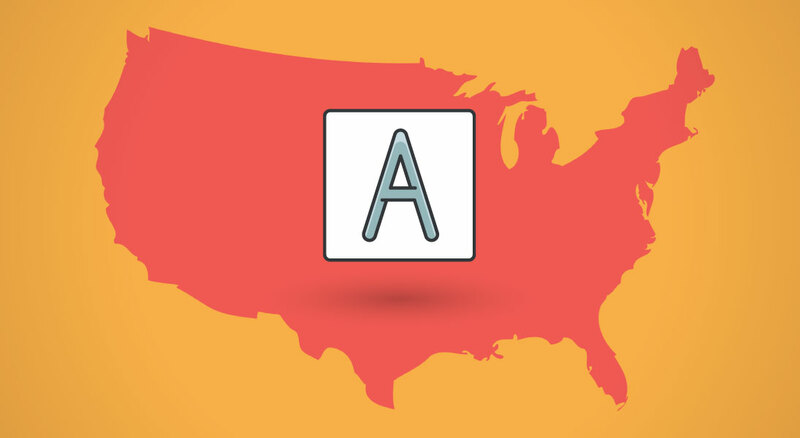 Just like picking a color palette, finding a perfect font can sometimes be difficult. Mainly because there are so many popular fonts that you can choose from! 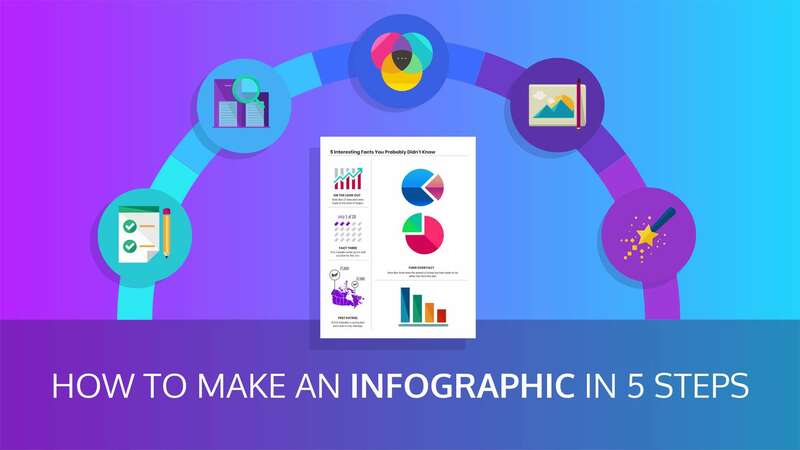 There are literally millions of fonts that you can download right now and add to your graphic design project. 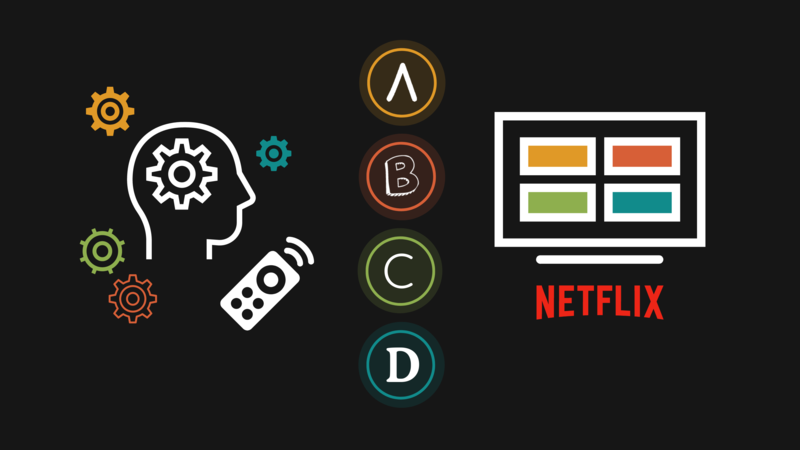 However, if you know the feeling or theme you want the font to match, that makes selecting the perfect font a lot easier. Especially if you want to use a very specific kind of typeface, like an elegant font. What is an elegant font? 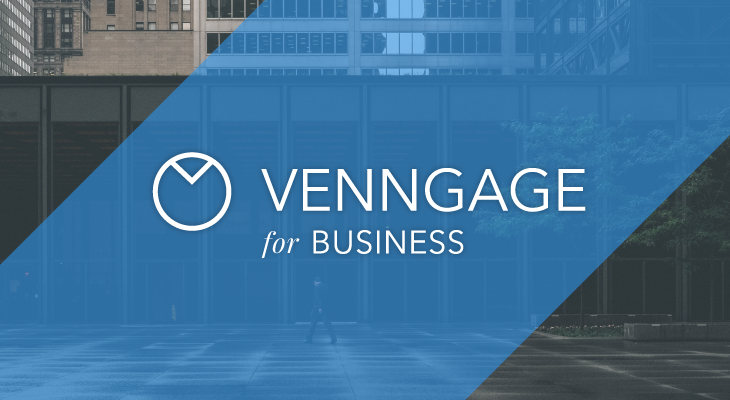 An elegant font is one that feels very formal, classic or luxurious from the moment you see it. Usually, most of these elegant fonts are script and handwritten typefaces or take their inspiration from the world of calligraphy. 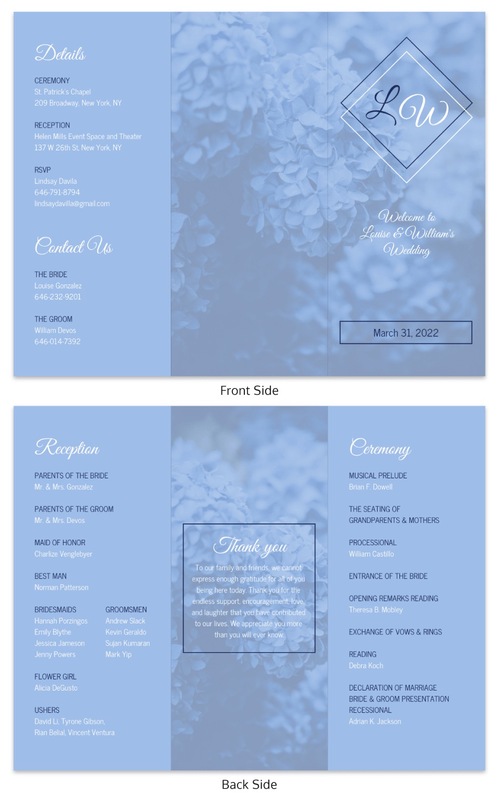 They are fonts that you would find gracing a wedding invitation, stationary or on the menu of a pricey restaurant. 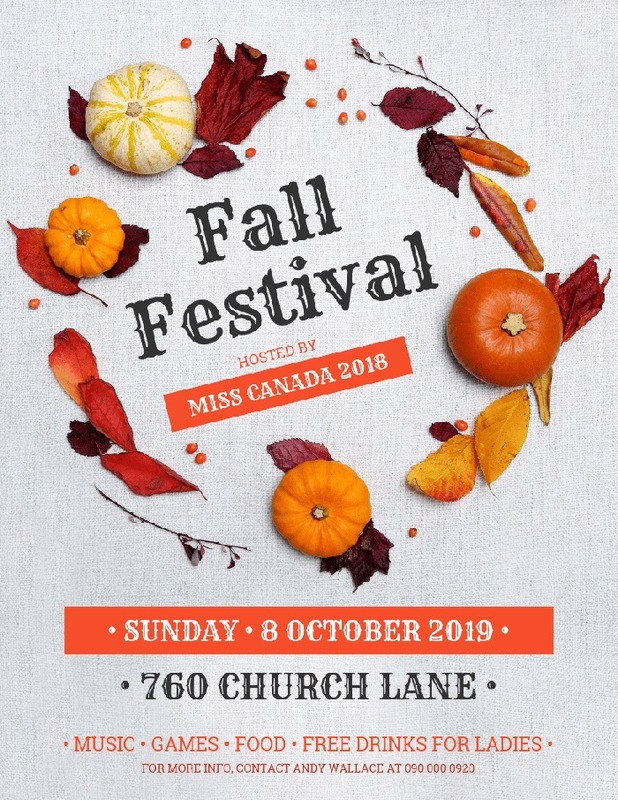 But, as you will see below, there is also a lot of serif and sans serif fonts that fit in this classy category of fonts. 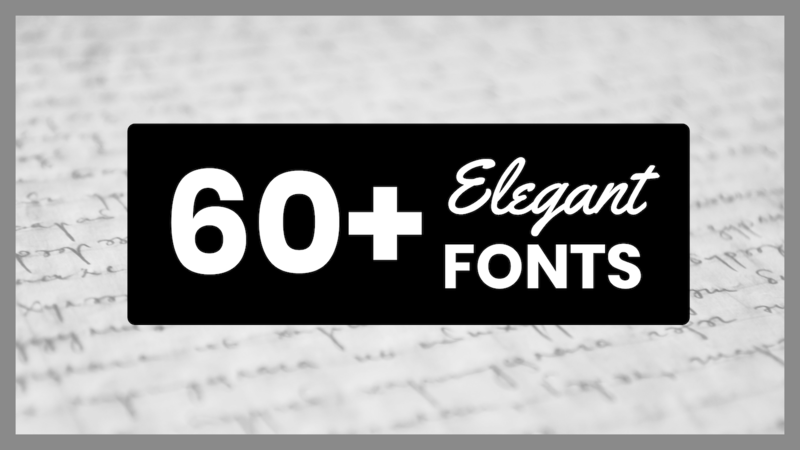 Now to make this font selection process easier, we have found 60+ of these fonts that we think invoke a feeling of elegance right when you read them. 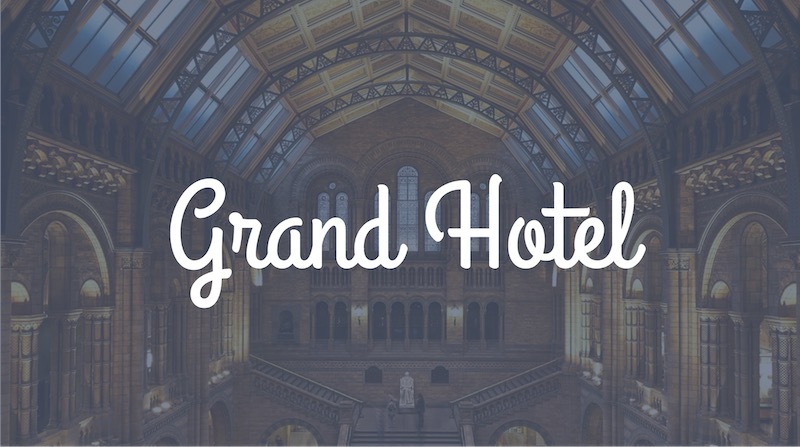 The Grand Hotel font was inspired by a 1937 film set at an elegant hotel in the middle of Paris. And according to Google Fonts, this font is very popular in France to this day! 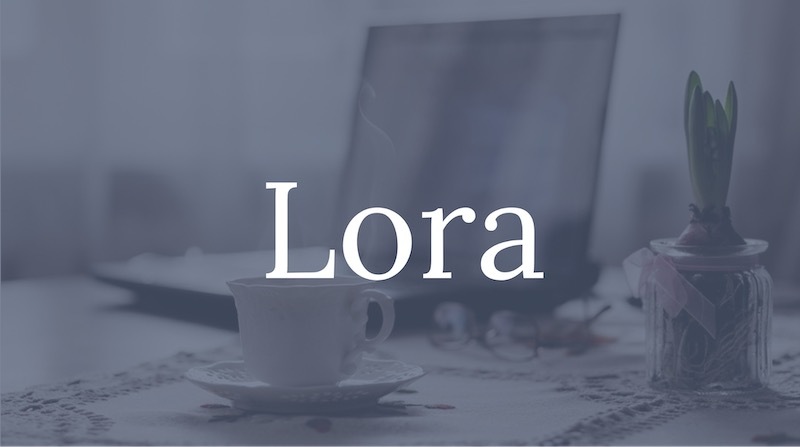 Lora is one of those fonts that looks amazing in print and on your computer screen. Olga Karpushina created this elegant font in 2011 to help tell a modern-day story, so its relatively new font as well. I would recommend using Lora as a body font throughout any design that uses a lot of text because it’s so easy to read. This sans serif font from LatinoType is unlike the other examples we have covered so far. With very long thin lines this font feels very modern and minimalistic, which is very trendy this year. 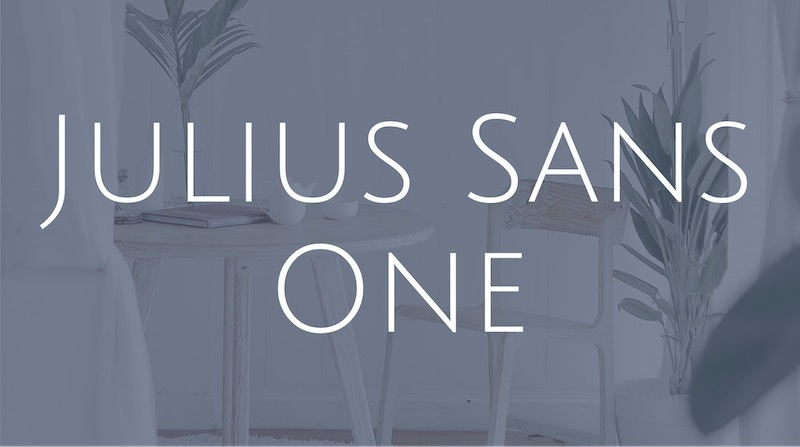 Pair Julius Sans One with a bolder font to really make the information pop off the screen or paper. In contrast to the last example, this classic elegant font is all about keeping things traditional. According to its creator, it was inspired by the European Enlightenment of the 18th century. 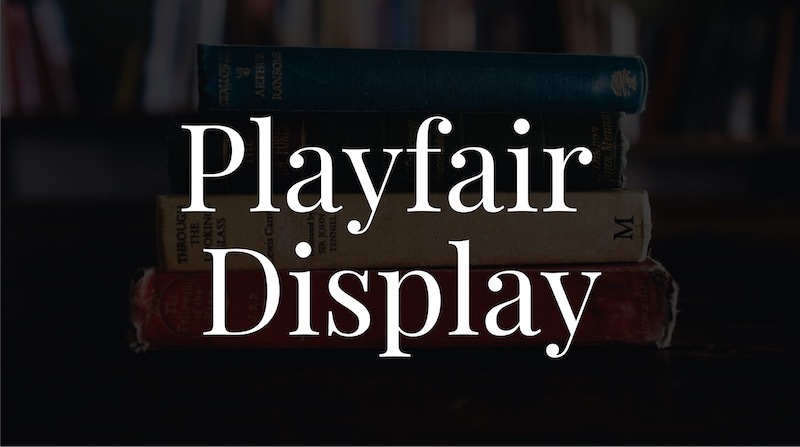 Playfair Display should really only be used as headers and subheaders across all of your design work. An essay filled with this font would be almost impossible to read. 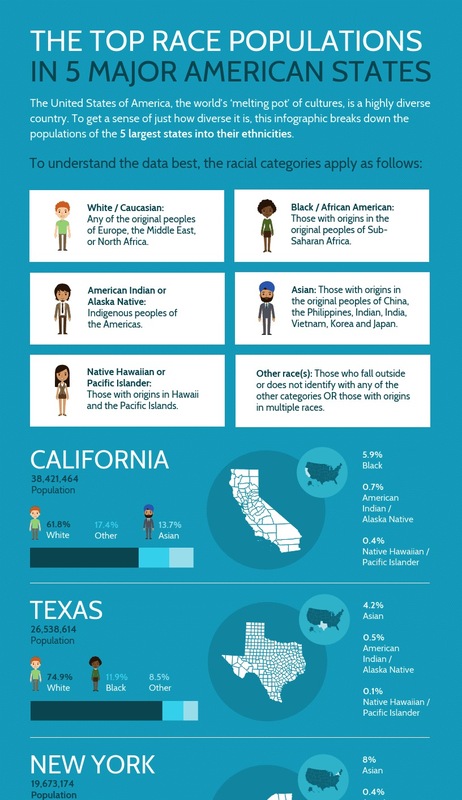 I believe that a font like this is suited for educational and informational graphics, like in the example below. Just be sure to pair it with a less bombastic font like Montserrat or Raleway. 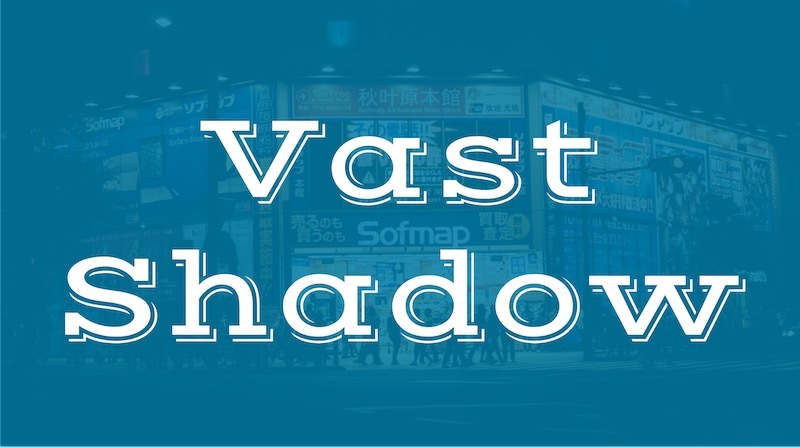 Vast Shadow is a font that truly excels when it’s massively sized, like on a billboard or movie poster. Anything smaller than that and its trademarked shadow will make the font feel squished. 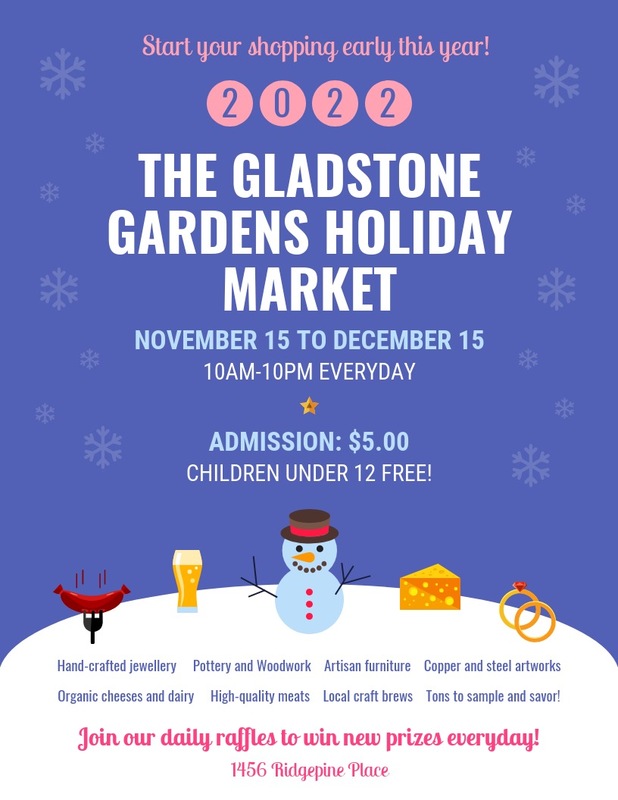 A strong display font like this is great for infographics, advertising posters or marketing flyers. This elegant font was created by Julieta Ulanovsky and inspired by the posters she saw in her hometown of Montserrat, Buenos Aires. 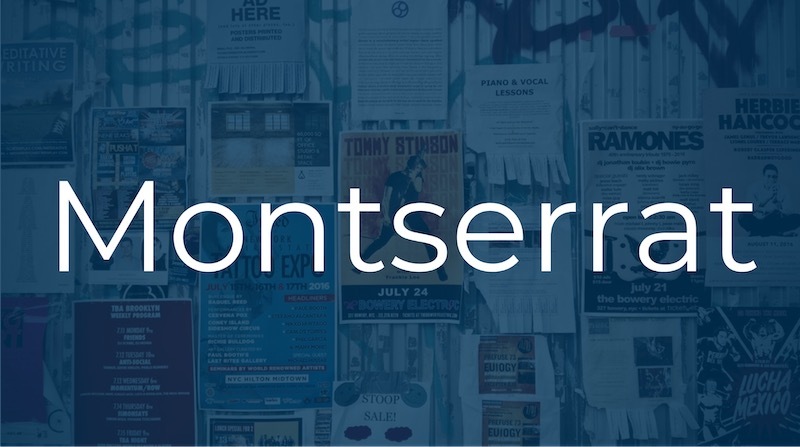 Montserrat looks modern, but also very professional. Berkshire Swash looks like something you would see in a Disney movie or cartoon. The exaggerated embellishments on each letter gives this elegant font a very magical feeling as well. Like with other display fonts you should probably only use Berkshire Swash as a header font in your design. 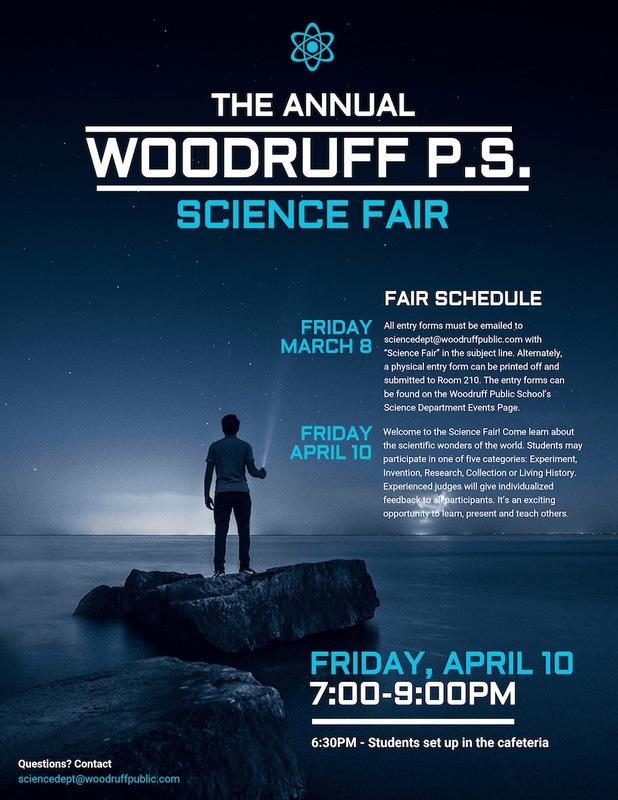 Pair it with a simple font like Oswald or Lato and you can create an exciting event poster. According to the handy dictionary, neoteric means modern, new or recent. And that name seems to be extremely fitting for this ultra-modern font. 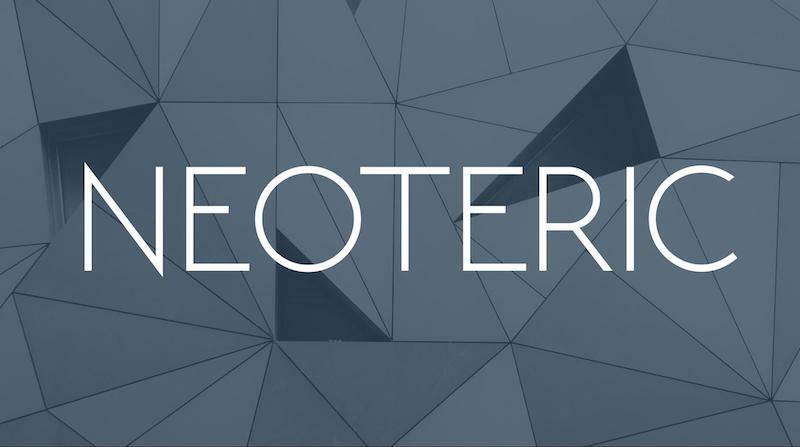 The thin lines and harsh angles of this sans serif font make it look like NEOTERIC could be used on a futuristic poster. Or to announce the newest trendy cocktail bar on Instagram. This font pairs extremely well with a simple bold font like Josefin Sans. 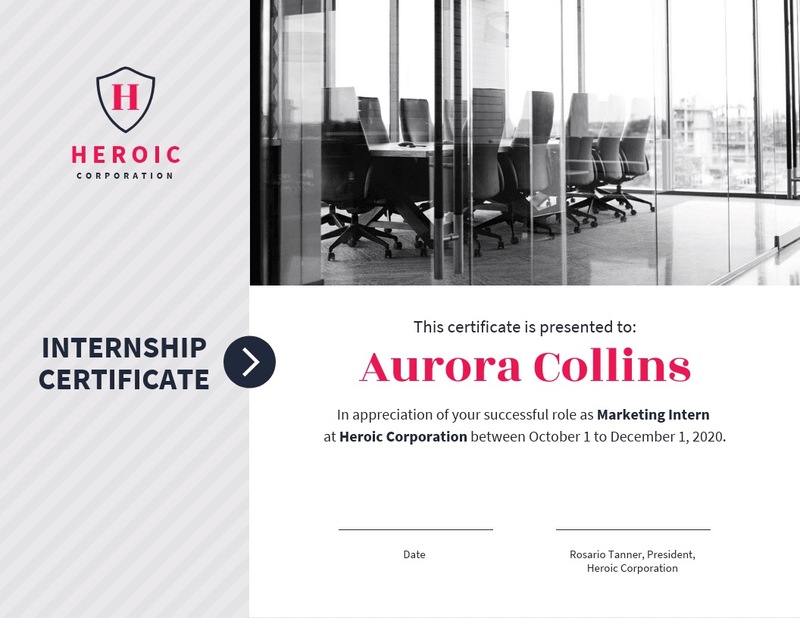 The contrast between the weight of the two fonts will ensure that NEOTERIC is seen. 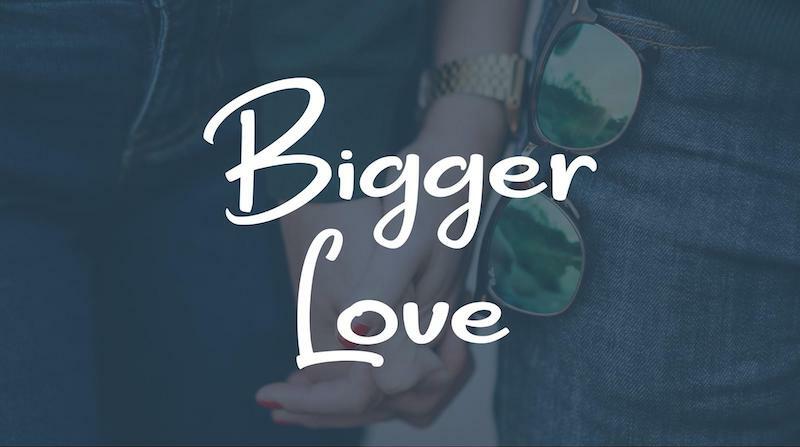 Bigger Love is basically the opposite of the previous example, NEOTERIC. Instead of skinny strokes and harsh angles, this font has flowing thick lines. Almost like it was pulled from a note or Valentine’s Card your significant other wrote you ages ago. Use this elegant font if you want invite someone to your wedding or tell them how much they mean to you. Just be sure to only use it in short bursts, because it’s kinda hard to read. 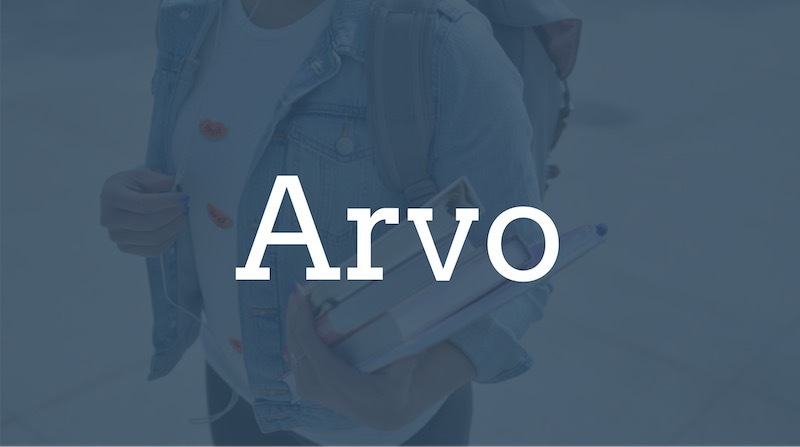 Arvo is a font that gets its name from the Finnish word for number or value. 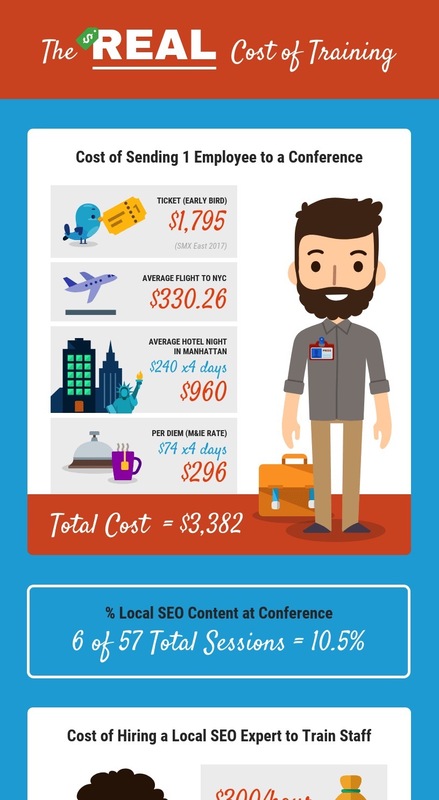 It looks like a lot of math was used to craft this geometrically driven font. The letters feel very symmetrical, especially when you are using capital letters. 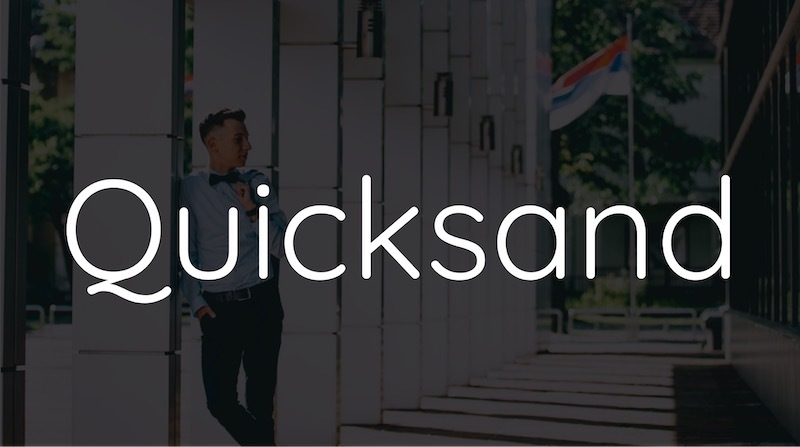 The heavy but linear strokes of each of the letters makes this professional font an ideal header font. 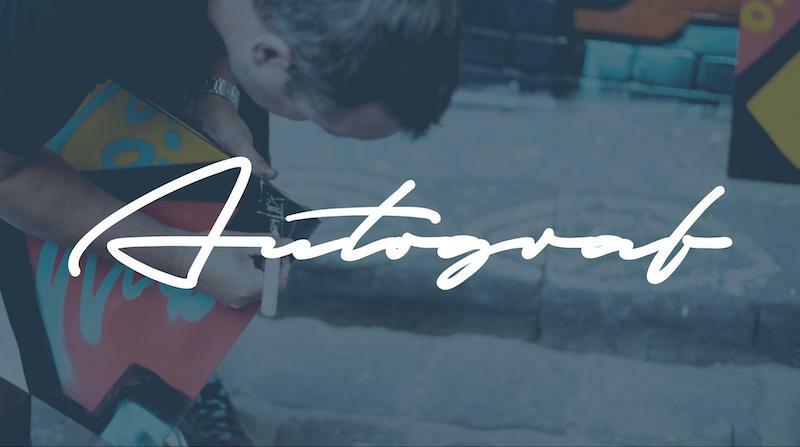 Use Autograf if you would like to include a signature, real or fake, in your design project. Just remember that this is a very masculine looking font, so keep that in mind when it comes time to use it. The thick lines and smushed lettering will set this apart from basically every other handwritten font in this article. Like with other, less messy, handwritten fonts, try to use this only when you absolutely need to. Otherwise, your design will be very hard to read. 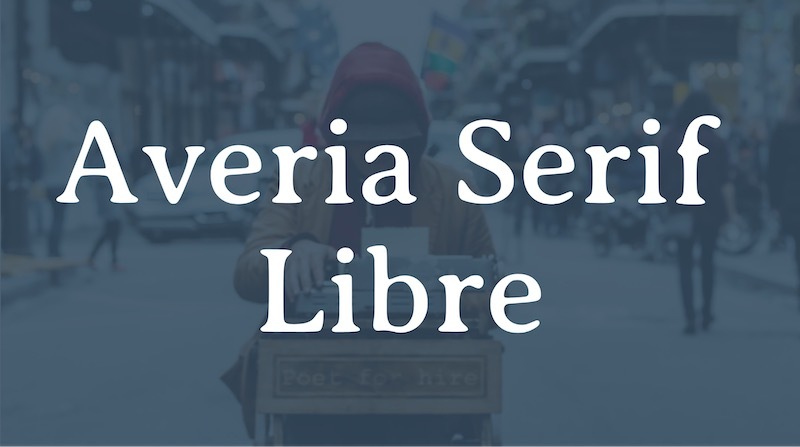 Averia Serif Libre gets its name from, you guessed it, the English word average. This name is almost too perfect because this font was created by averaging all the serif fonts that the designer had to work with. 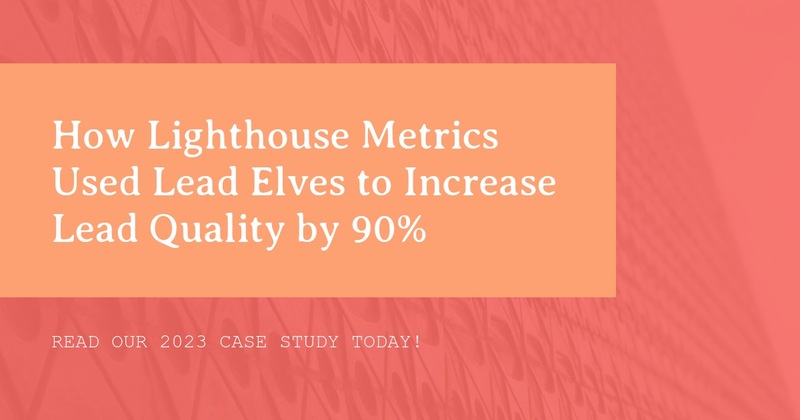 The results is a stunning font that looks natural. 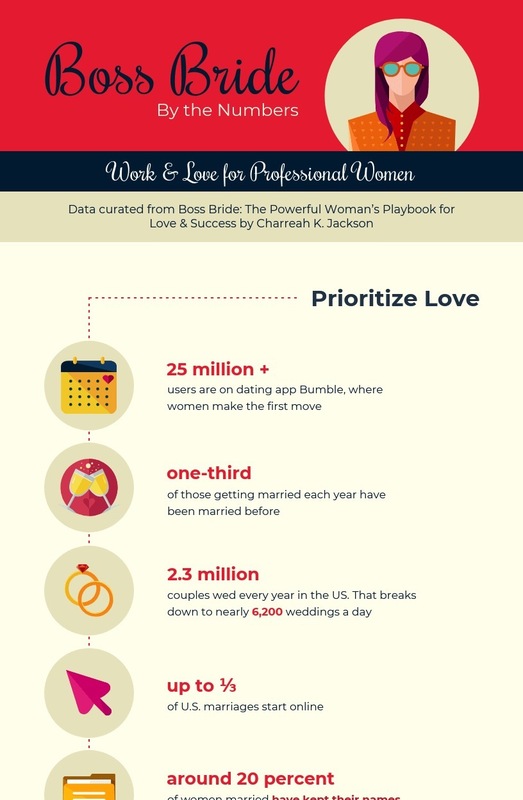 If you really want a piece of information to be seen in your design, using handwritten fonts like Satisfy is ideal. Especially when they are matched with a simple modern or minimalist font. Like with other extra unique fonts try to use this elegant typeface only for headers or to add extra emphasis. 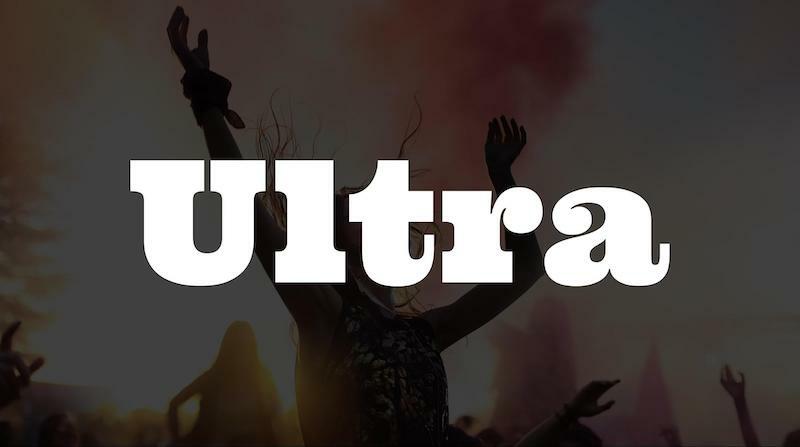 Ultra is probably the boldest font in this entire article, and that’s no small feat. Especially because so many elegant fonts feature heavy strokes and lines. Each letter Ultra feels powerful and strong, but the letter spacing makes it still very easy to read. With a font like this, you should probably only use it as an attention-grabbing headline font. 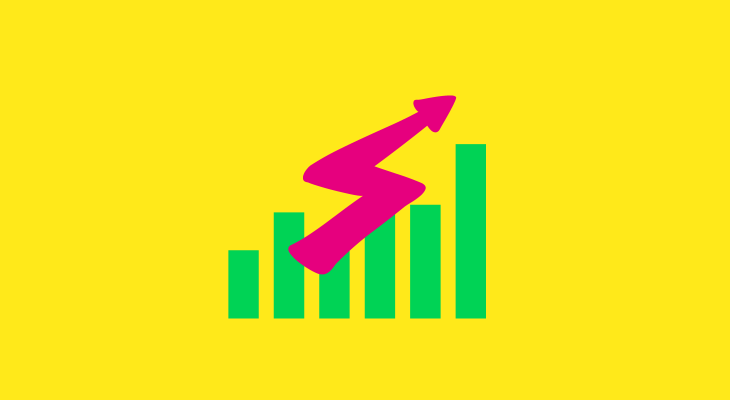 I would recommend using it to highlight important info on event poster or flyers. You might recognize Graduate because it’s literally used by every college in the nation at least once. I bet if you visited your local university you could find it on a poster or flyer within a few minutes. 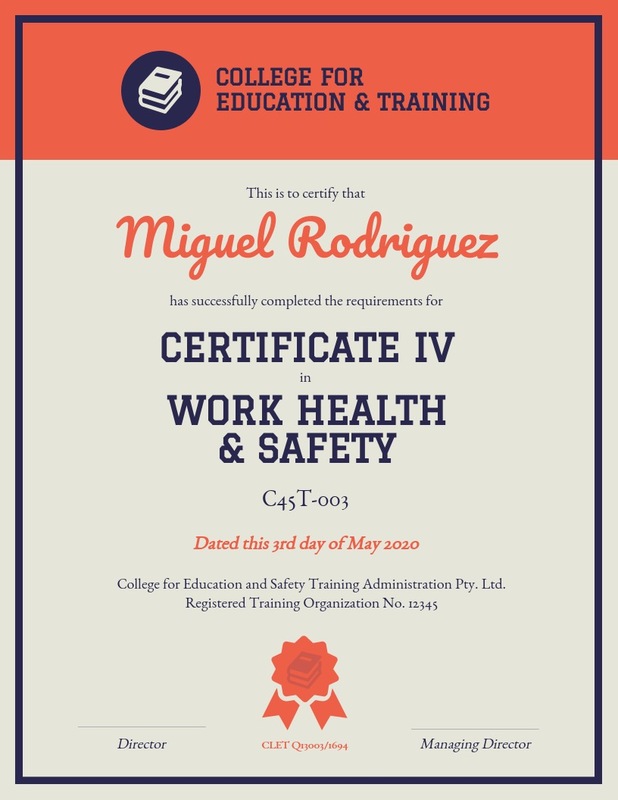 This might not be a traditionally elegant font, but it looks very official and professional. 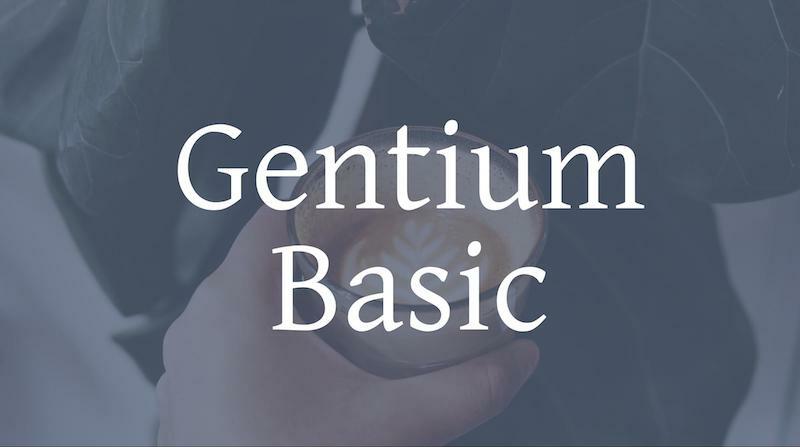 Victor Gaultney used the Latin, Cyrillic, and Greek languages as inspiration when creating Gentium Basic. I feel like you can quickly see the influences of each of those languages in each letter. He crafted Gentium Basic to make it possible for people who communicate in those languages to create better graphics. This classically elegant font should probably be used as a body text and paired with a relatively simple sans serif font. 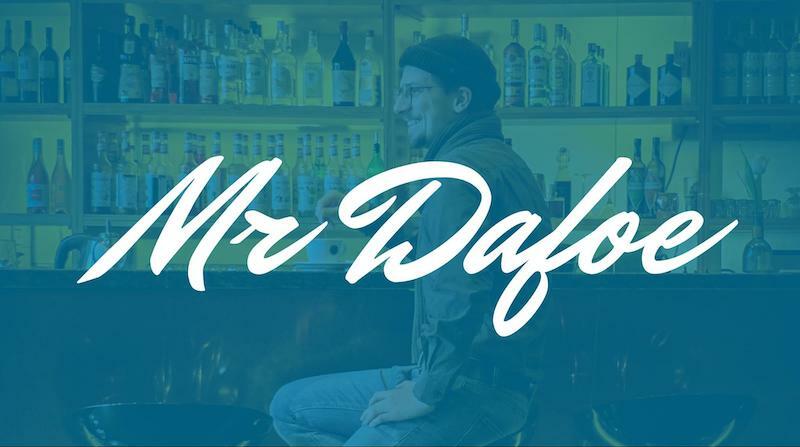 The varied weight throughout each letter makes Abril Fatface an excellent elegant font to use for headers or titles. 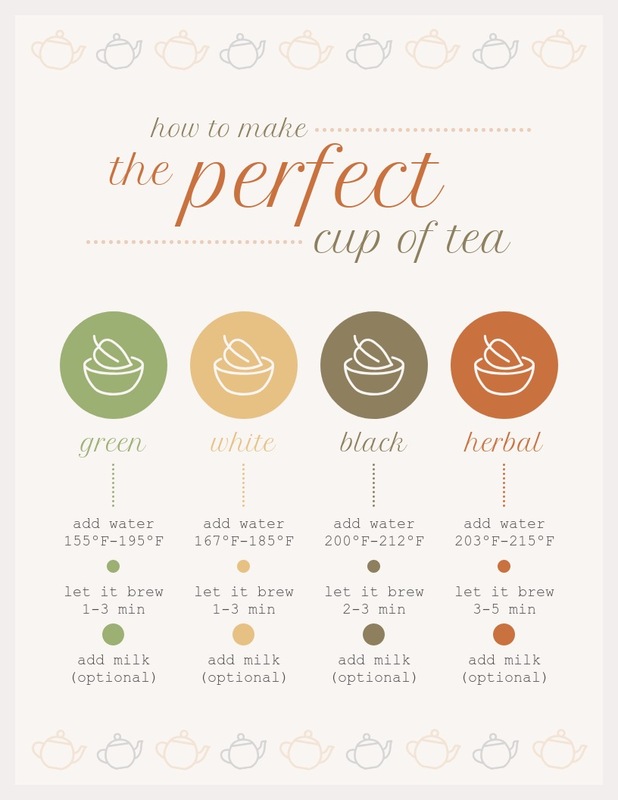 Especially if you want your design to feel traditional or classic. 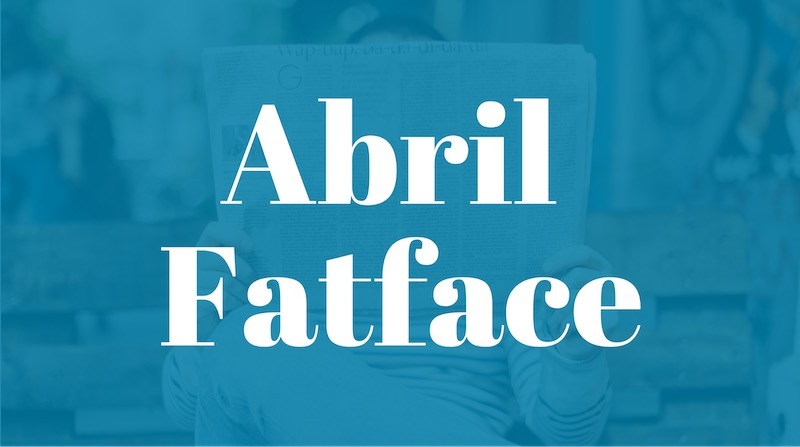 Abril Fatface looks like this font was taken from an old school newspaper, and evokes a feeling of authority on the subject. Coustard was created by Vernon Adams after he remixed a few other classic fonts like Droid Serif, Tienne, and Artifika. And you can see influences of all those fonts throughout the Coustard typeface. 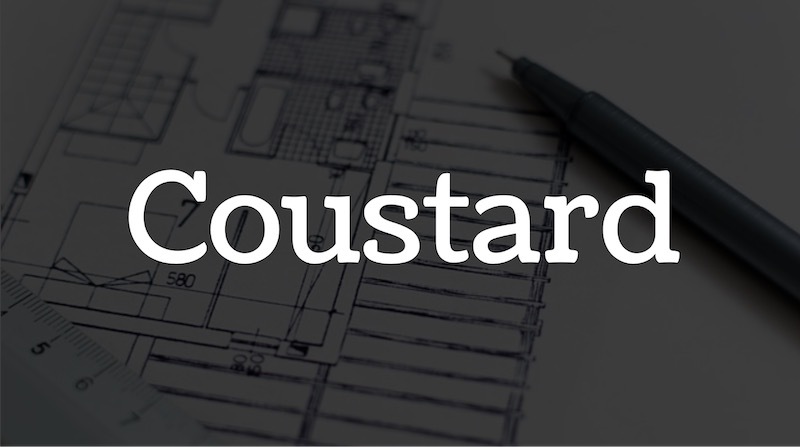 With a friendly theme, Coustard can be used in a ton of different situations. 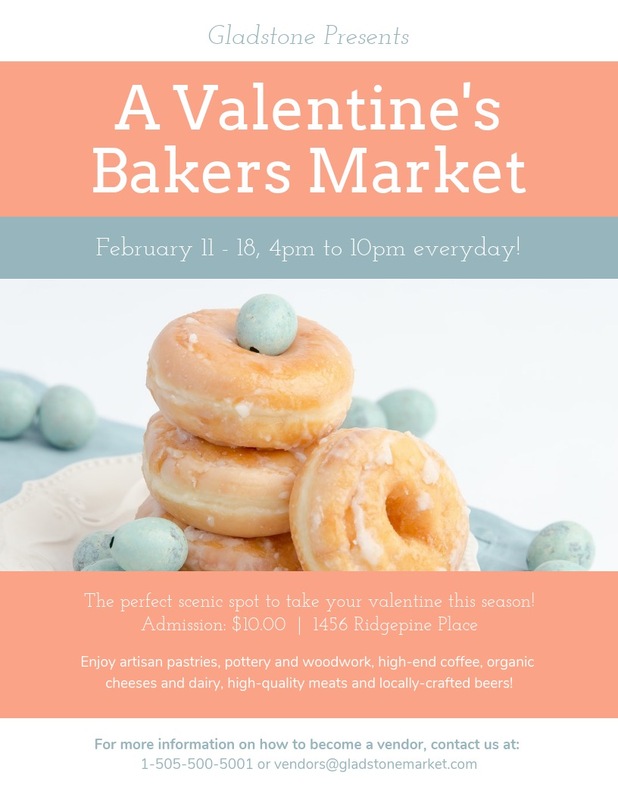 Additionally, you could pair this font with a minimalist handwritten font like Great Vibes to create an engaging graphic. 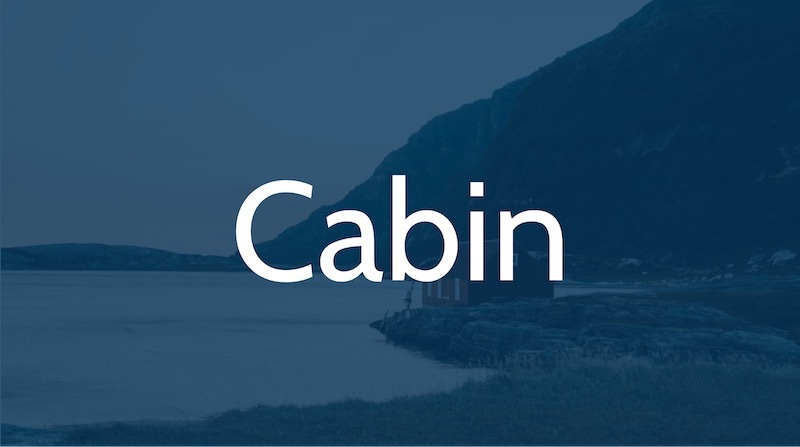 Cabin is another geometrically driven typeface with a few modern extras. Although this font isn’t traditionally elegant, it still feels very fancy and fresh to me. Cabin used effectively on an Instagram post or tech pitch deck. Created by Monotype for Windows 3.1 in back in the early 90s, this classic font still gets a lot of use to this day as the default font for Windows. I think that the extended use of this font by Microsoft speaks to how timelessly classy this font is! 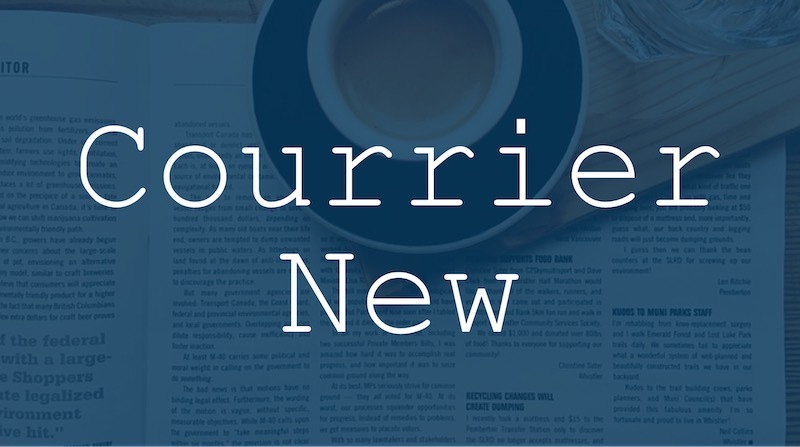 Courier New is a minimalist serif font, so it can be paired with both serif and sans-serif font in your design work. 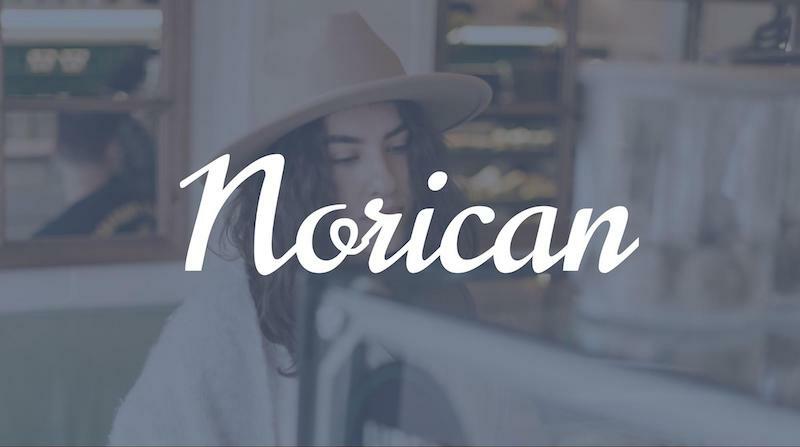 Norican is a display font from the talented designer Vernon Adams. He says that this font was inspired by classic script fonts of the early 1900s. I think that the calligraphy influences on this font also makes it feel very genuine, creative and inviting to the reader. 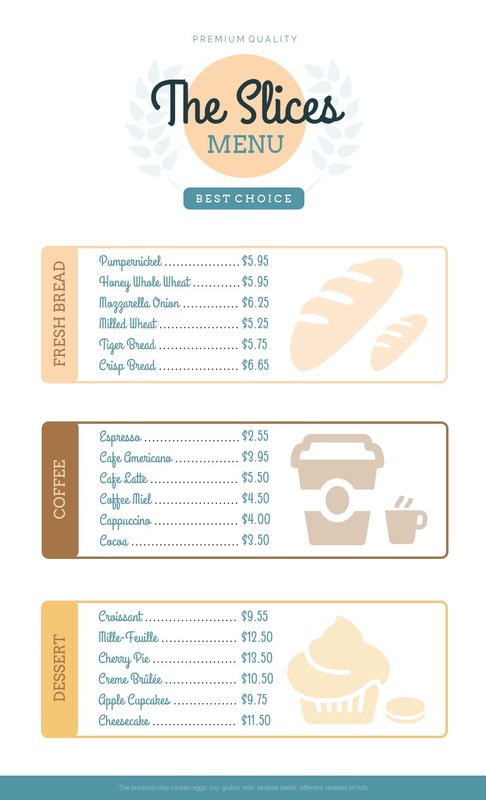 A handwritten font like this would be right at home in your favorite coffee shop. Almost like the barista had written a message using Norican as inspiration that morning. 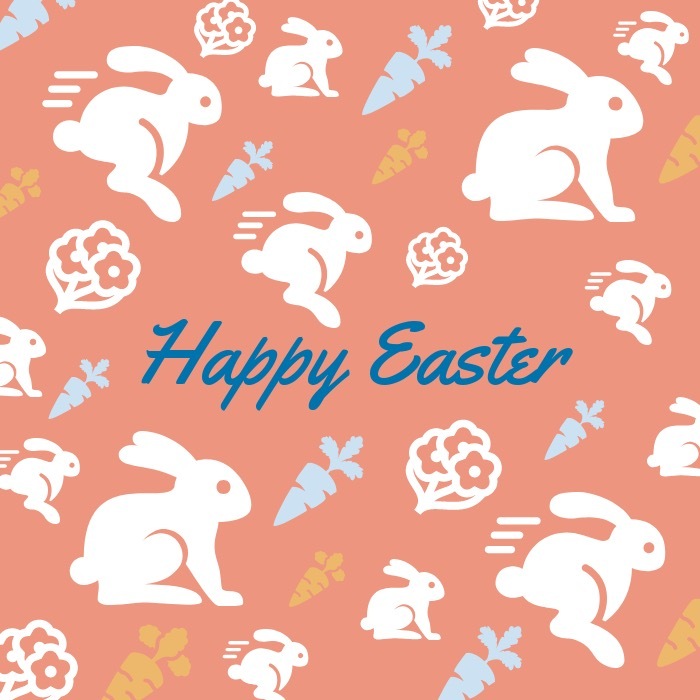 Use this as a header font across your creative designs, and pair it up with a sans serif font like Lato or Raleway. Andrew Paglinawan designed Quicksand in 2008 and used geometric shapes as the jumping off point. You can instantly see symmetrical influences in each letter of this typeface as well. However, the small additions, like the flowy letter Q, make this font very interesting. Other geometric fonts don’t break their self imposed rules like this very often. 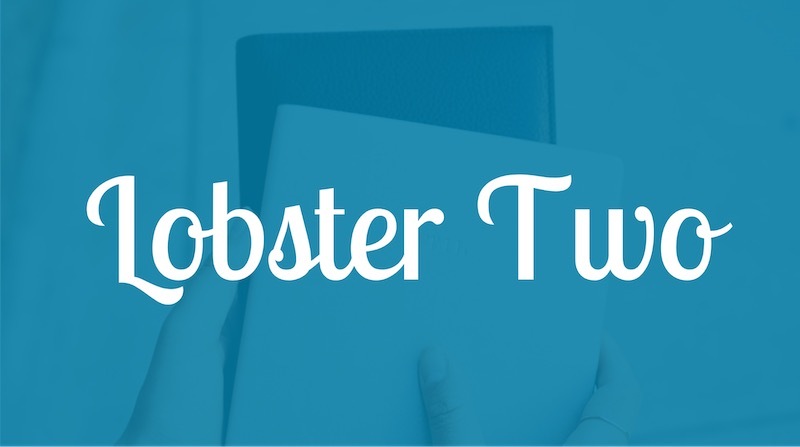 Don’t be put off by Lobster Two’s interesting name, it’s a truly elegant font. With classic cursive influences and elaborate embellishments, this font will definitely stand out on your graphics. 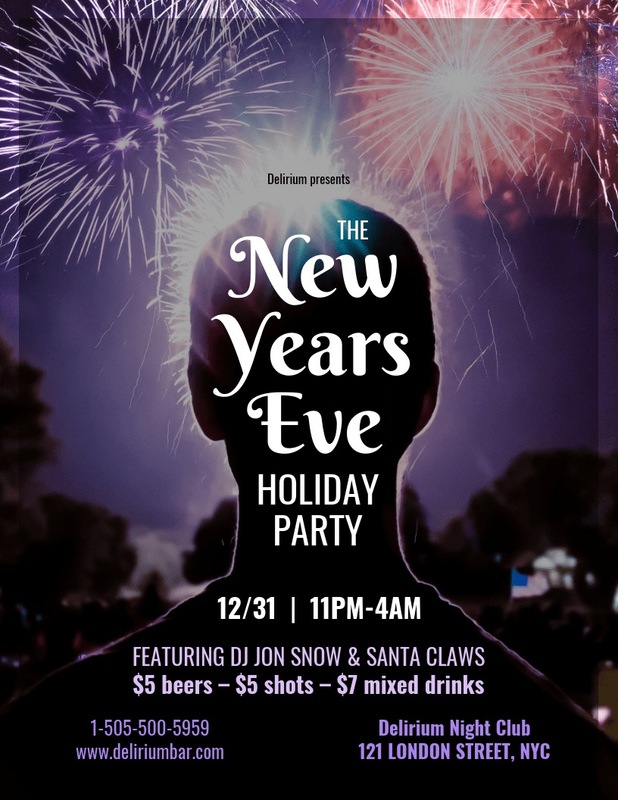 I would recommend including this font on holiday or event posters because it also feels very exciting and peppy. There are some fonts that fit a topic so well you immediately think about it. 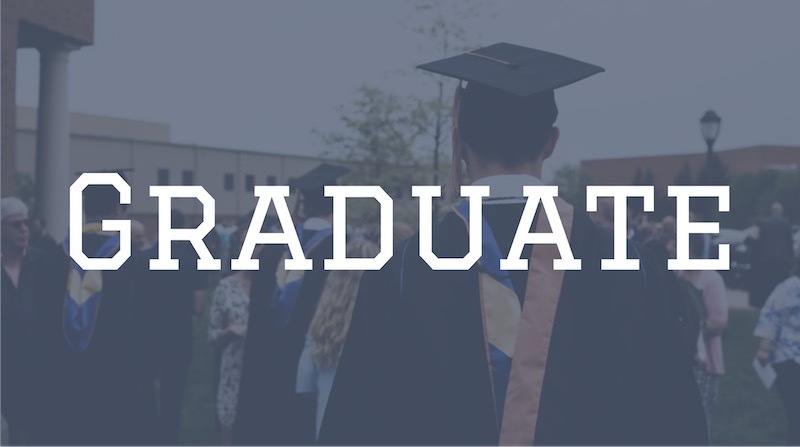 We already saw an example of this phenomenon above with the Graduate font. Above is another one of those fonts, and the topic just happens to be the outdoors. 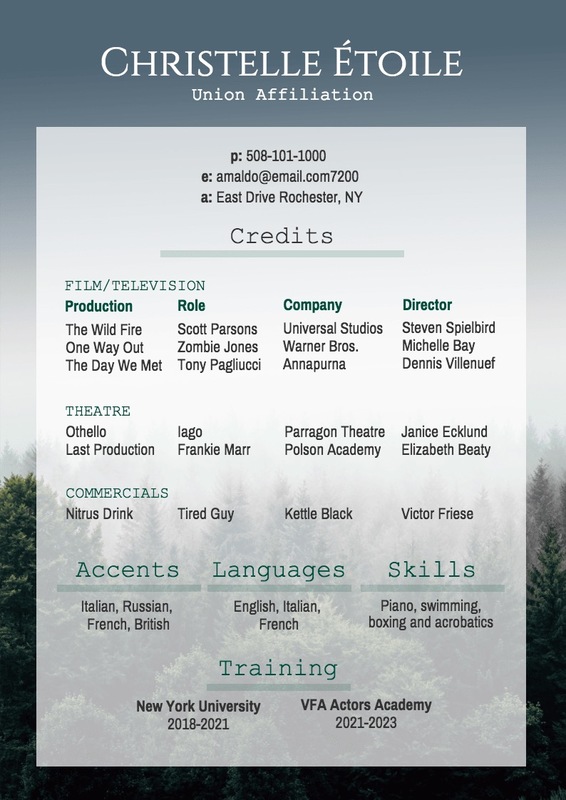 In fact, in the marketing materials for this font, mountains and nature are prominently featured. The tall peaks and thin strokes of the letters also invokes a feeling of being in nature. I mean, the “A” looks almost like a tent or a mountain! 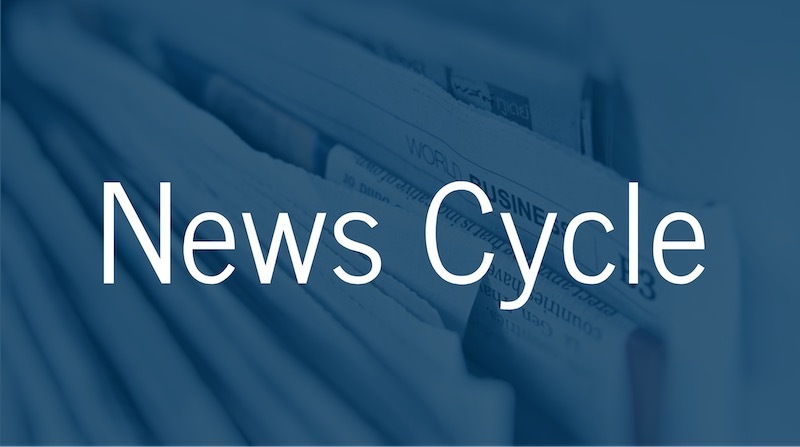 News Cycle was influenced by the News Gothic font that was popular in the early 1900s. This traditionally elegant font has mainly been used as a body font because it’s easy on the eyes. 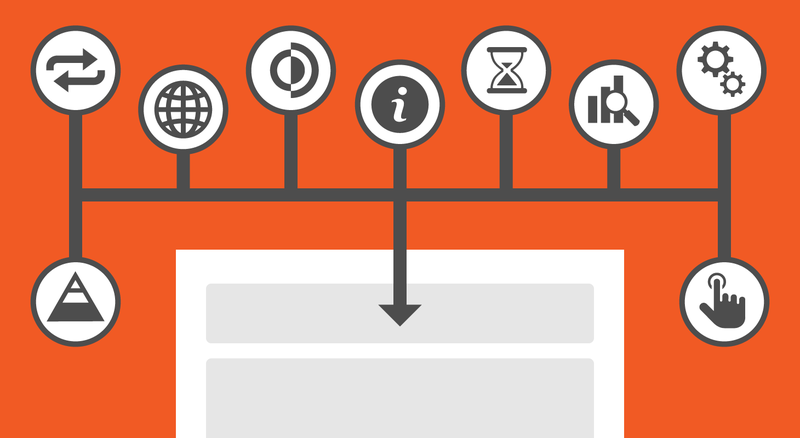 That means you can fill your marketing plans or business reports with News Cycle, without driving your readers crazy. 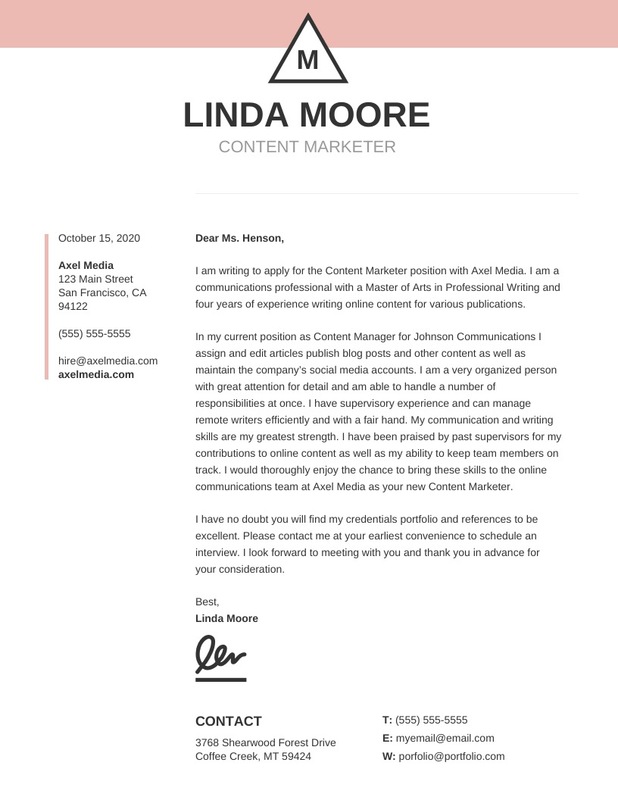 Actually, in this resume example, the body and headers are both News Cycle but feel wholly unique. Although it has a very interesting name, it fits this typeface extremely well. 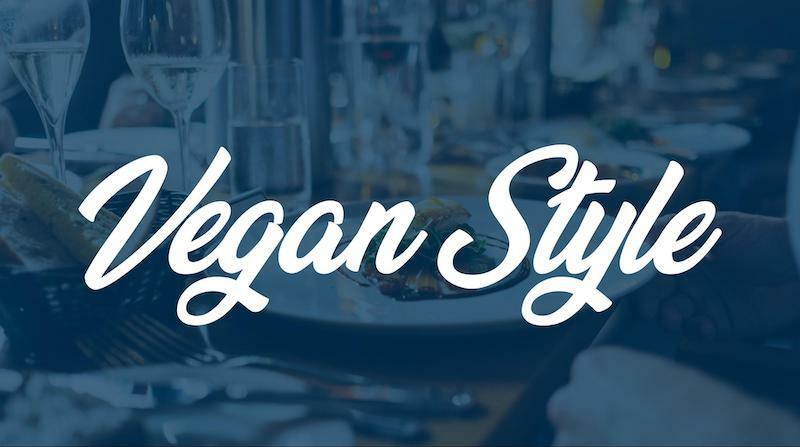 Vegan Style seems like it could be the font that a trendy restaurant already uses in your city. The thicker strokes of each hand-drawn letter makes the font feel very compelling but sincere at the same time. 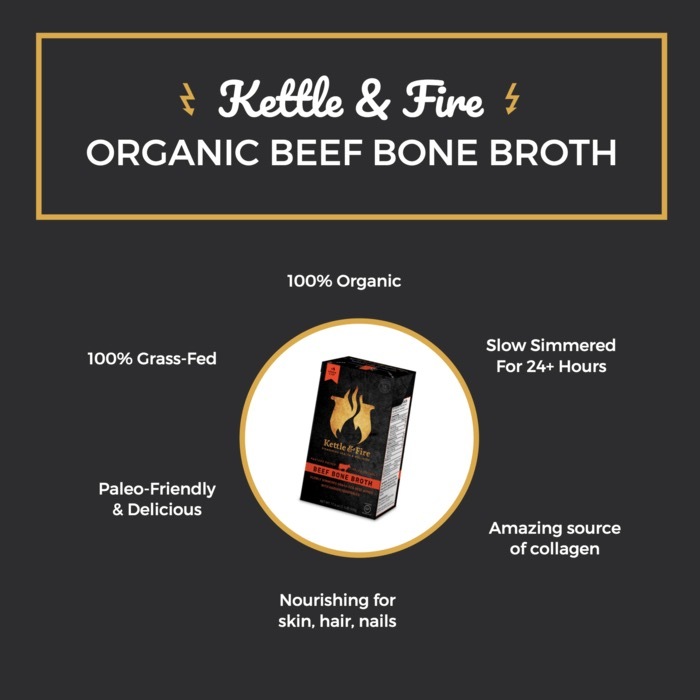 I think that Vegan Style would pair nicely with News Cycle or Cabin on a menu, food infographic or event poster. Natanael Gama created Cinzel using inscriptions from the Roman Empire as a starting block. I think he nailed the feel of that era. This font looks like it could be found on the side of an ancient building, well, if they spoke English back then. The heavy serifs of each letter feel very classically elegant. 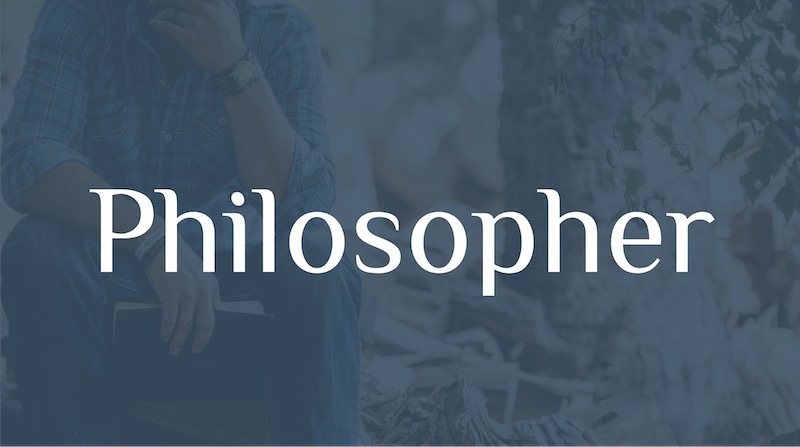 When Philosopher was first released, the designer included a bunch of errors and bugs. Apparently, they wanted to make designers interact and fix typeface instead of just mindlessly using it. With its elongated and exaggerated embellishments, this elegant font is certainly original. 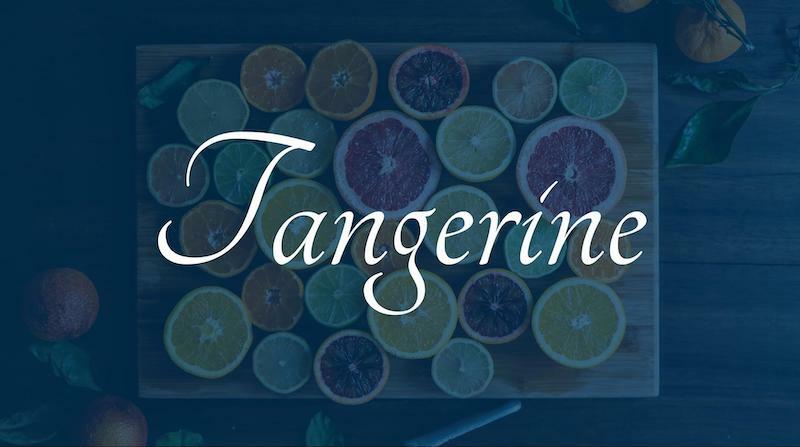 If you were to guess, would you think that Tangerine was named after the fruit? Well, surprisingly it was named after someone who motivated the designer to create the font. Don’t worry, I have always thought it was named after the citrus. Each letter of this typeface feels light and refreshing. A calligraphy inspired elegant font like this should be used as a title or header font. Anything smaller than that will make the text hard to use because of the extremely light strokes. 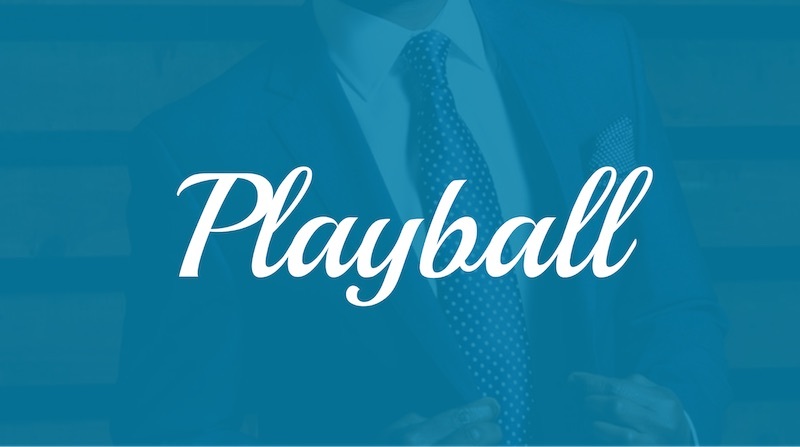 Playball is an elegant font that has an extremely fitting name. I think it’s safe to say this typeface looks like it was taken right off a classic baseball uniform. 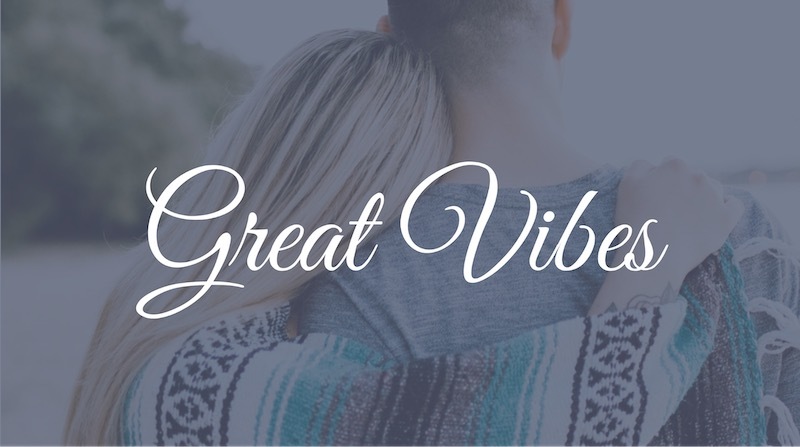 You can use this font to invoke some feeling of nostalgia or just a relaxed tone in your designs. 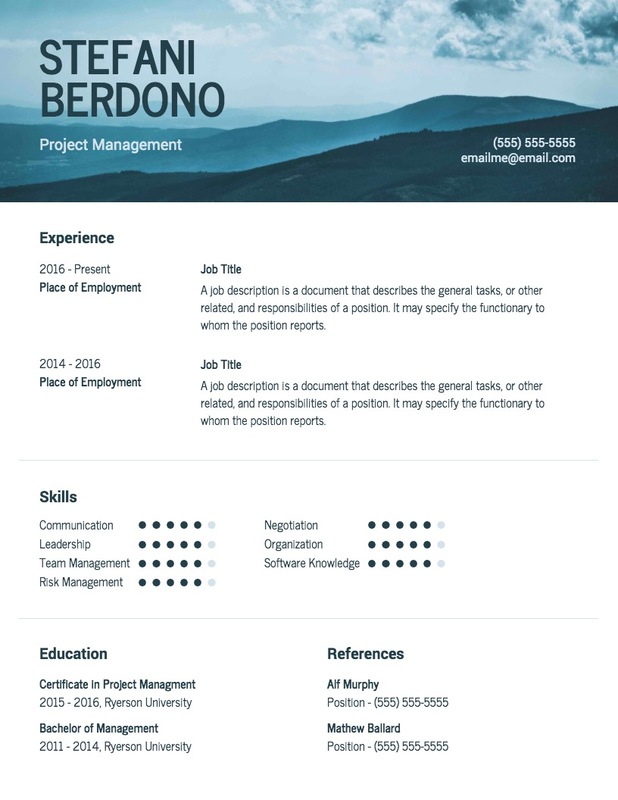 In the resume example below, the designer used Playball to make their headings stand out from the rest of the information, and other applicants. Now if that resume hit my desk, I would definitely want to learn more about the applicant! 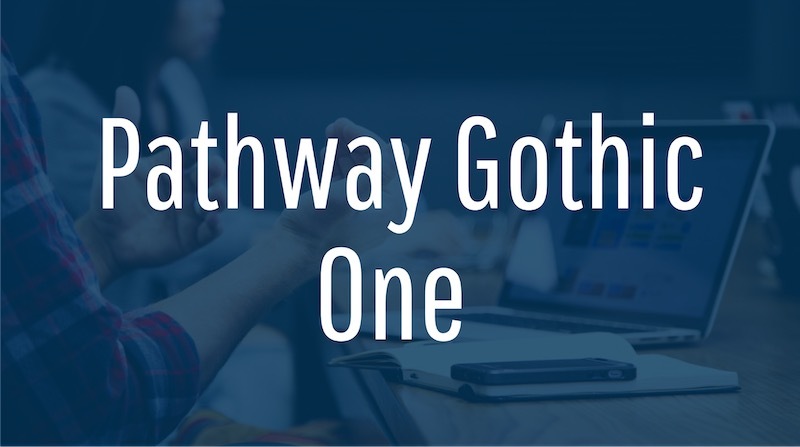 If you are looking for a creative business font to use in your reports or presentations, Pathway Gothic One might be perfect. Compared to some of the other elegant fonts in this article, this example is very narrow and tall. 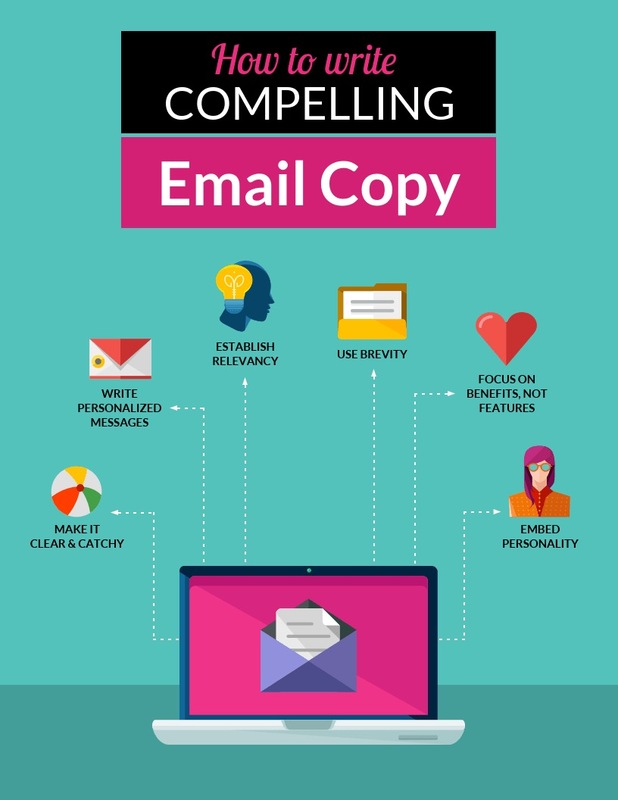 However, the letter spacing keeps the text from feeling squeezed or overwhelming. 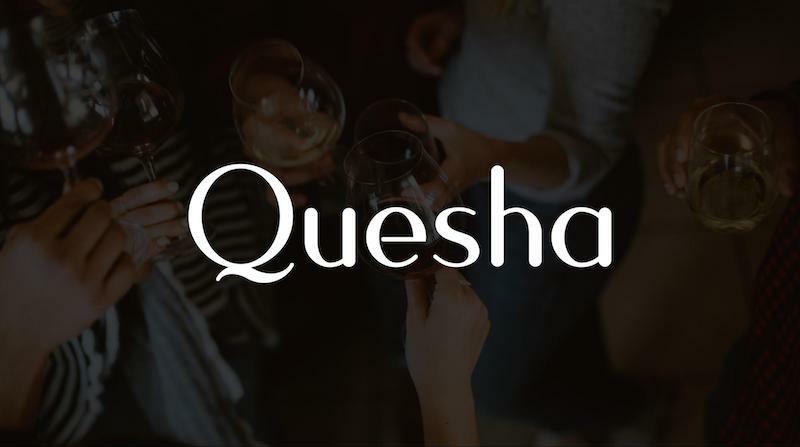 The designer of Quesha calls it a modern classic, and I can definitely see where they are coming from. They started with a geometrically inspired font and then added their own embellishments to all of the letters. Each letter looks very symmetrical in its vertical strokes, but the designer used the horizontal strokes to add their own flair. One of my favorite parts of this classic font is the way that each letter looks like it was cut a little short. 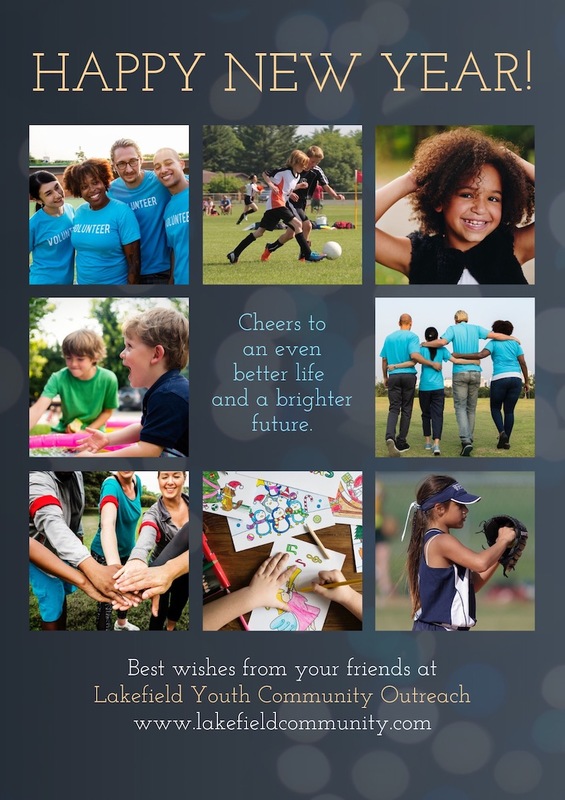 In the graphic above, you can see that the J, E, and F seem to be missing a part. Most other geometric fonts would make sure everything was symmetrical and even to the millimeter. 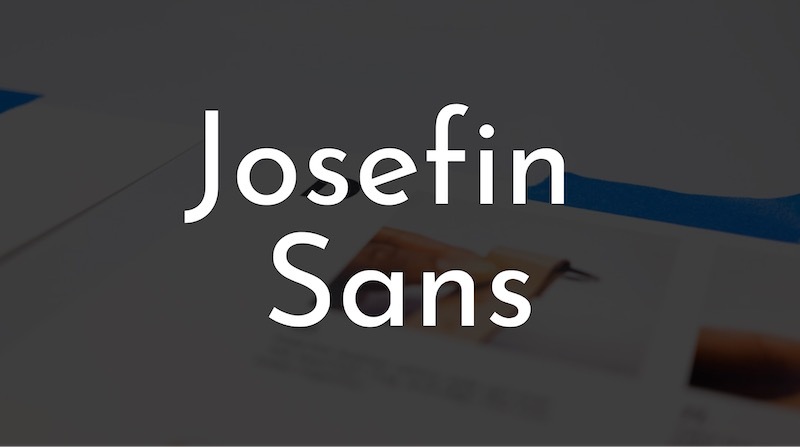 However because the Josefin Sans doesn’t follow the norm, the font becomes instantly special. 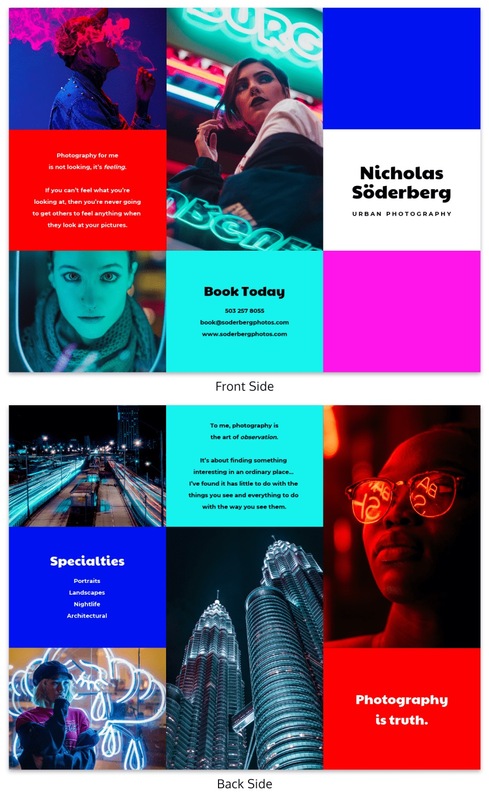 In the brochure example below, the designer used Josefin Sans throughout the entire graphic, only changing the case, weight and size. 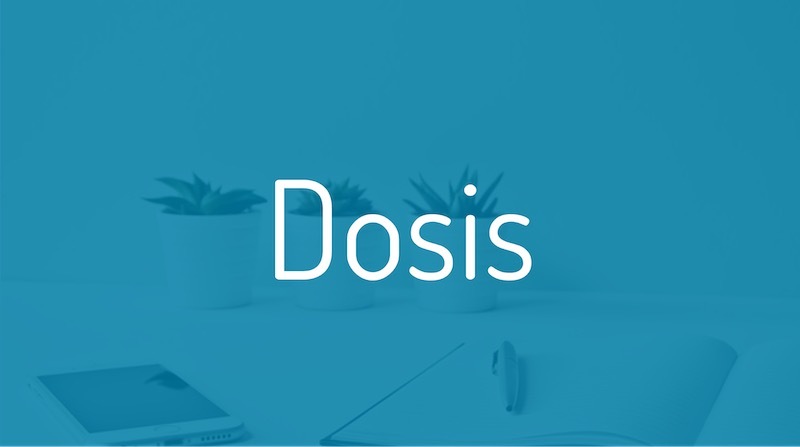 According to its creators, Dosis should be only used as a display sized font. They don’t give a great reason for this, but I think we should trust their judgment. 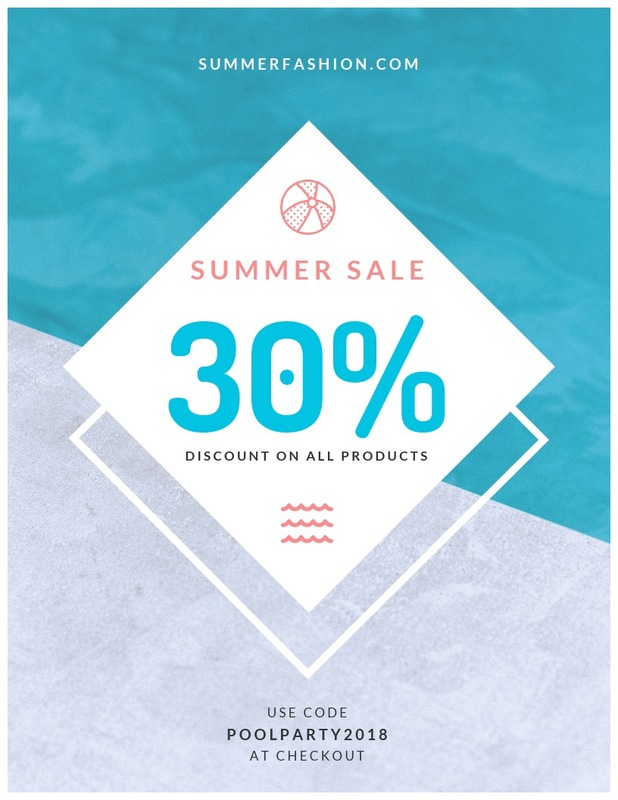 Modern fonts like this are very popular this year and can be used to make your graphics a little trendier. 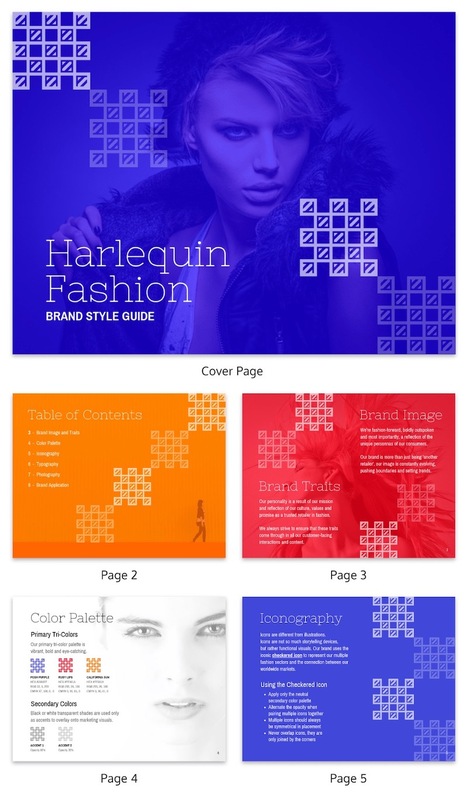 Especially if your’ brand is in the tech or fashion industries–you may want to consider using modern brand fonts. This elegant font was inspired by the Charles Bluemlein Script Collection, which crafted a ton of typefaces from personal signatures. He created these typefaces to show off his writing instruments and you can see the calligraphy influences in Mr Dafoe as well. Mr Dafoe also followed the naming scheme that the Script Collection made famous. Each of the original fonts from that collection was named after a fictional person. Like other calligraphy inspired fonts, I would recommend using Mr Dafoe only as a display font. 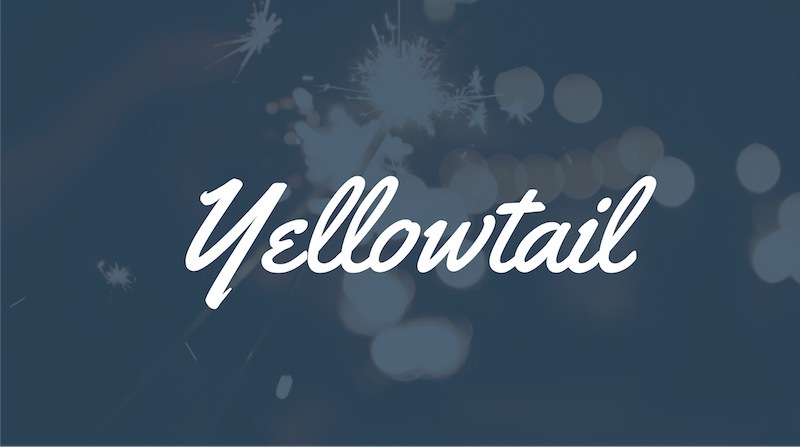 If you’re looking for a fun and positive elegant font then Yellowtail might be for you! 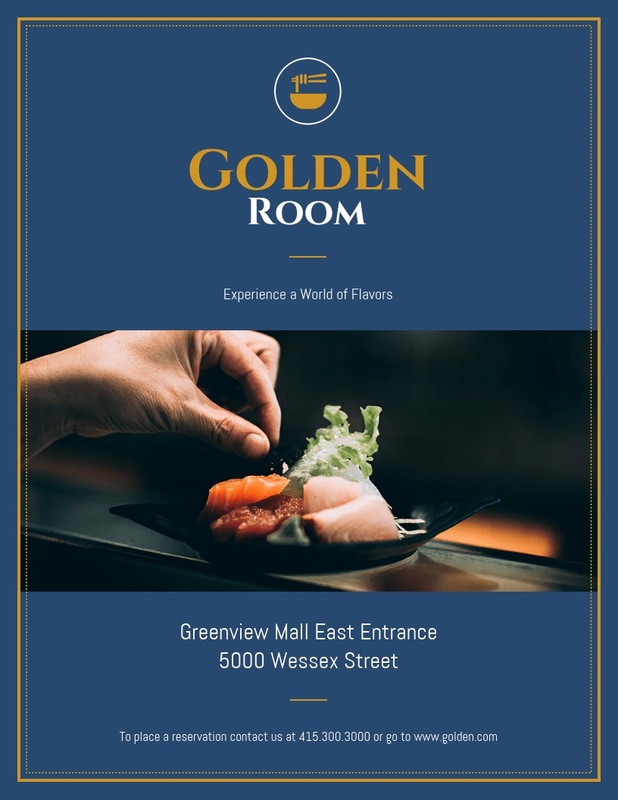 Plus, Yellowtail will stand out from other elegant fonts because although it has cursive influences, not all of the letters connect. According to the designer, this decision was made to help with legibility and make the font more eye-catching. You will probably find Bite Chocolate on the label of designer chocolate or fancy coffee. The classic handwritten script and large capital letters give it an air of luxury. The flowing strokes make Bite Chocolate look very warm and enticing. Like you could also find it on a product you found at Trader Joe’s. 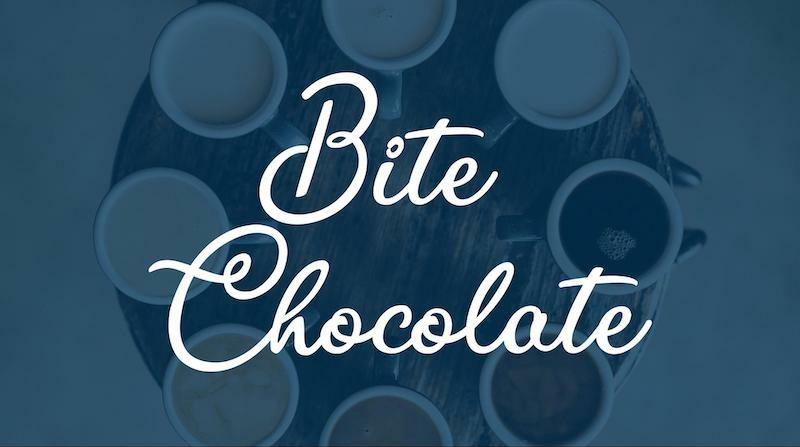 Not many other elegant fonts are able to walk this line between stuffy and inviting, but Bite Chocolate does it well. 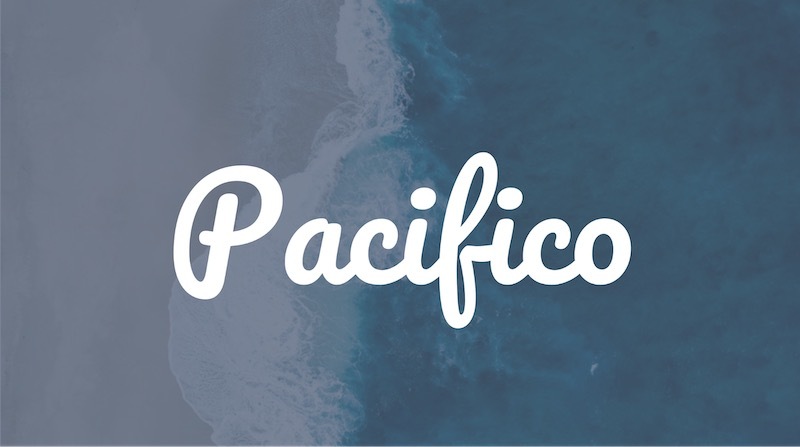 With its heavy strokes and tight letter spacing, Pacifico is a handwritten font for the digital era. In fact, this elegant font reminds me of the early Pinterest logos and typeface. 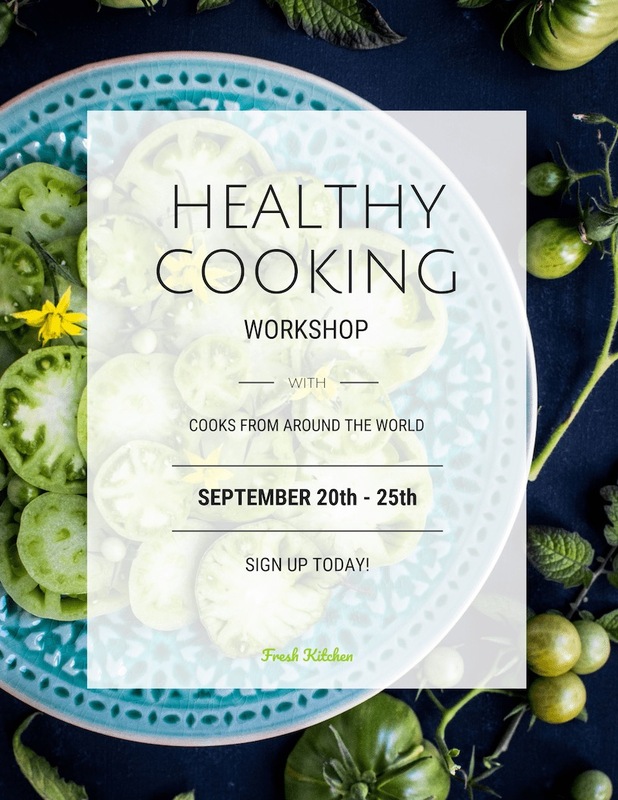 A bold font like this can be paired with a lot of other light or heavy typefaces. The only real restriction is that you should use Pacifico as a title or header font. Anything smaller and I believer the letters will start to run together. Like the city that it’s named after, Sacramento grabs your attention but doesn’t beat you over the head with its boldness. 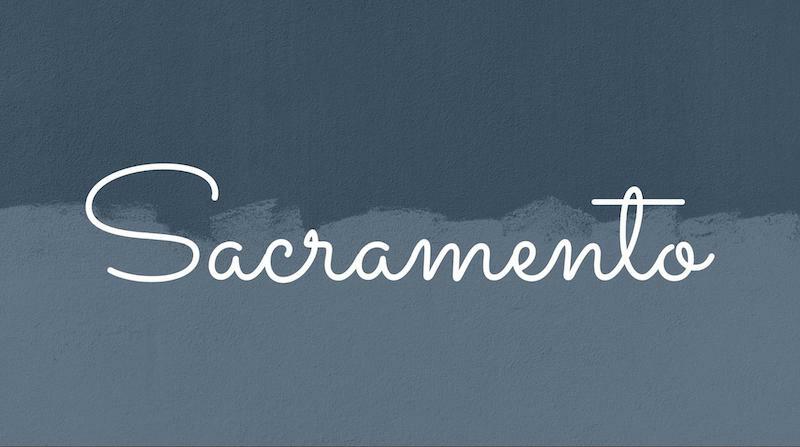 Instead of using large bold strokes like other script fonts, the designer chose to feature thin exaggerated lines in Sacramento. As you can see above, these flowing lines make each of the capital letters very large. These large letters provide a nice contrast to the minimalist stokes and help make the whole font very interesting. I would recommend using this elegant font only as a display or title font. 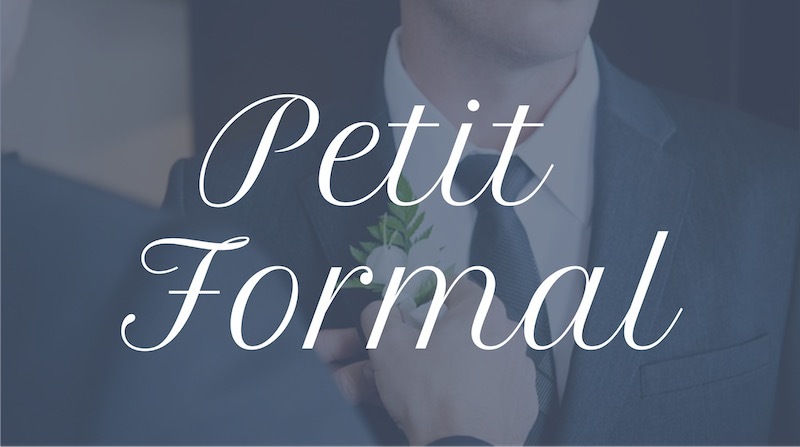 When a font as “Formal” in the name, you have to guess that it’s going to be classy. Petit Formal doesn’t disappoint, every part of this font is extremely beautiful. From the thin strokes to the large flowing letters, this typeface might be the most elegant font in the entire article. Honestly, this is a font that you would see on your invitation to the Oscars, or on a thank you note from a Senator. 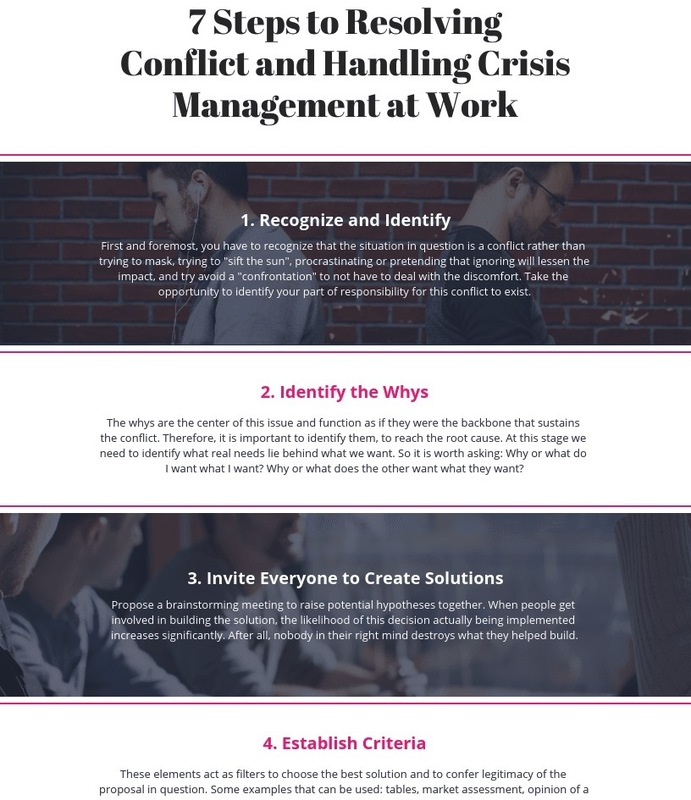 In the example below, Petit Formal is used throughout the design and fits the subject extremely well. 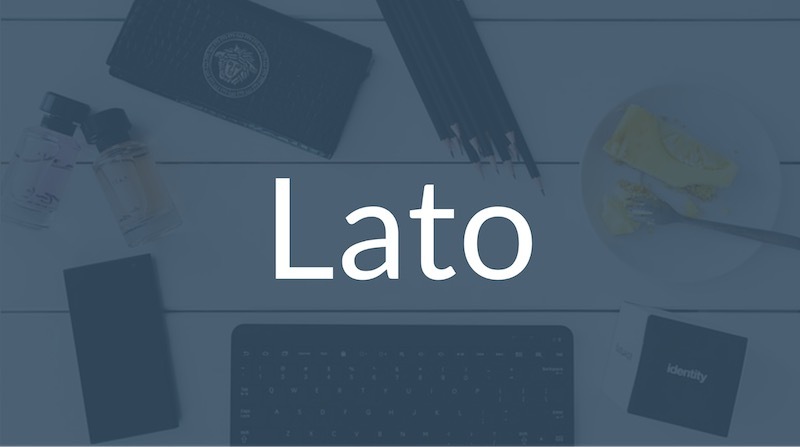 As you can see above, Lato isn’t a traditional elegant font with flowing strokes like Berkshire Swash or Satisfy. 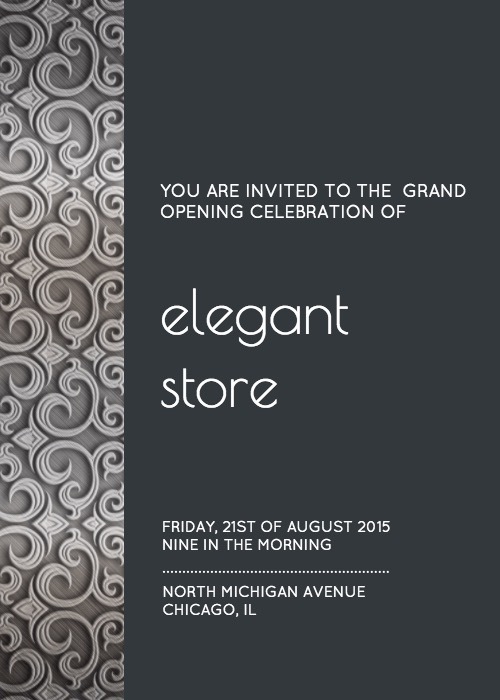 Each line is very geometric and modern, which makes the typeface still feel very classy. 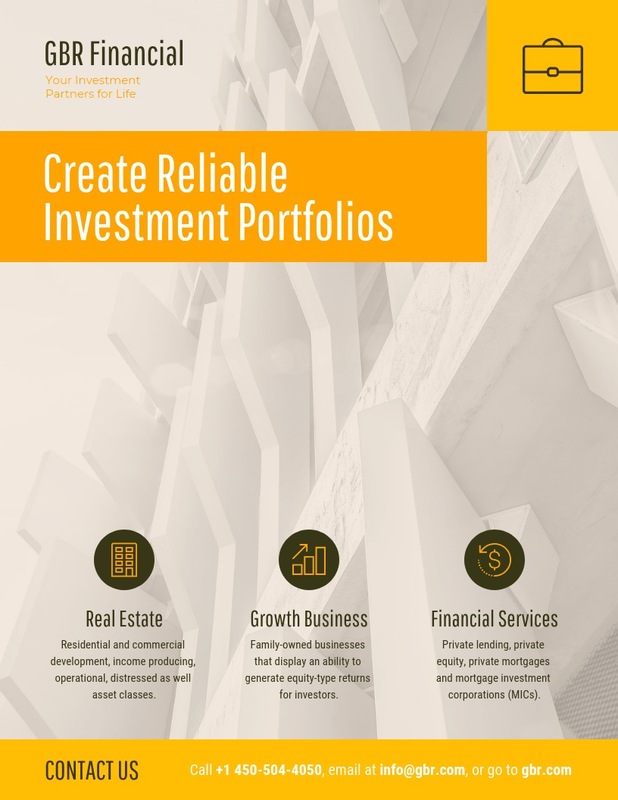 I would recommend using this font in marketing or business graphics where you would like to convey a professional tone. 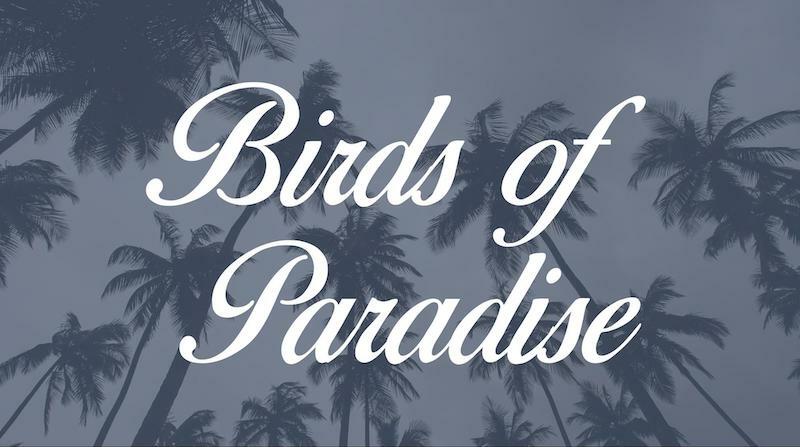 Birds of Paradise is an elegant font that you can use for really any purpose throughout the year. Heck, I even featured it in our Christmas card design article earlier in the year! Bird of Paradise combines a perfect mix of calligraphy and script font. However, Birds of Paradise feels more tropical that festive in my opinion. An elegant font like this would be found in your favorite warm-weather vacation destination. 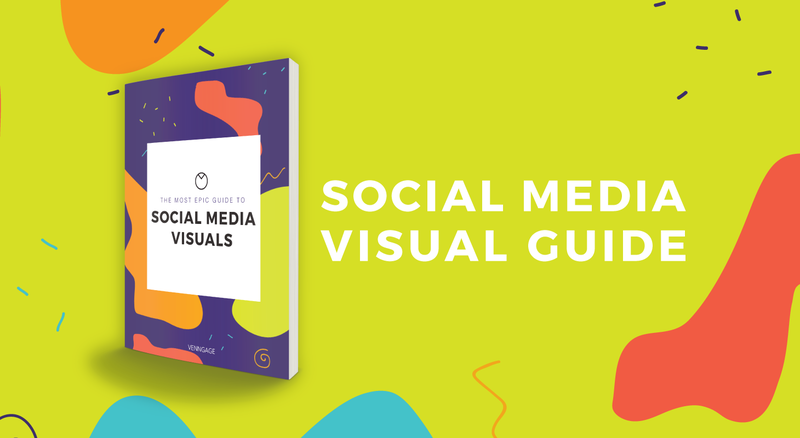 So if you want to add a little bit of warmth and positivity to your designs, use Birds of Paradise. 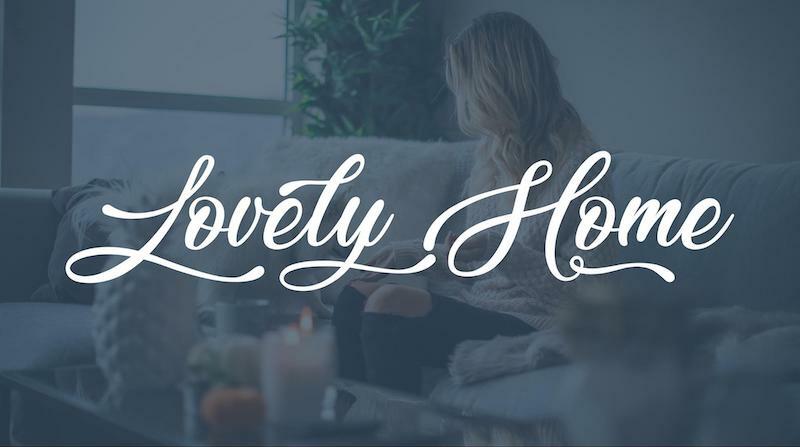 As cheesy as it may seem, Lovely Home truly feels like a font you would find in your home. The classic calligraphy influence ensures that each letter is warm and inviting. I bet your family has a quote in this font somewhere in your home as well. Or you have an inspiring quote on your desk right now. 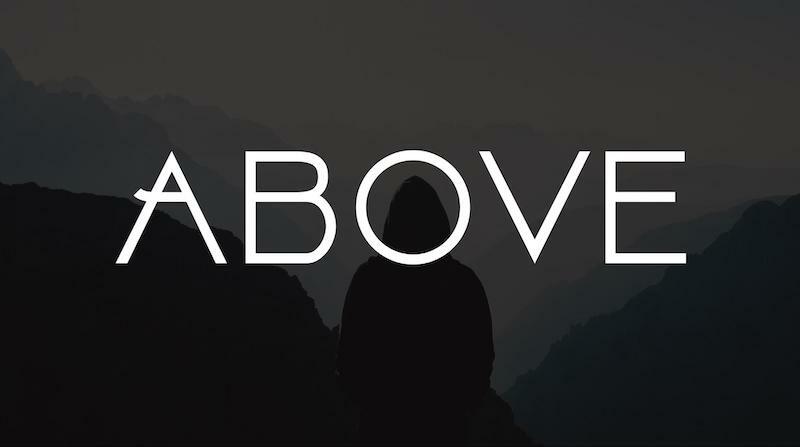 A font like can be used to create your own motivational posters, social media post and more! Naming fonts has to be a hard job. But Great Vibes fits this typeface extremely well, in my opinion. The exaggerated strokes and flowing embellishments invoke a feeling of warm tranquility. Almost like someone would use it to announce the first day of summer. 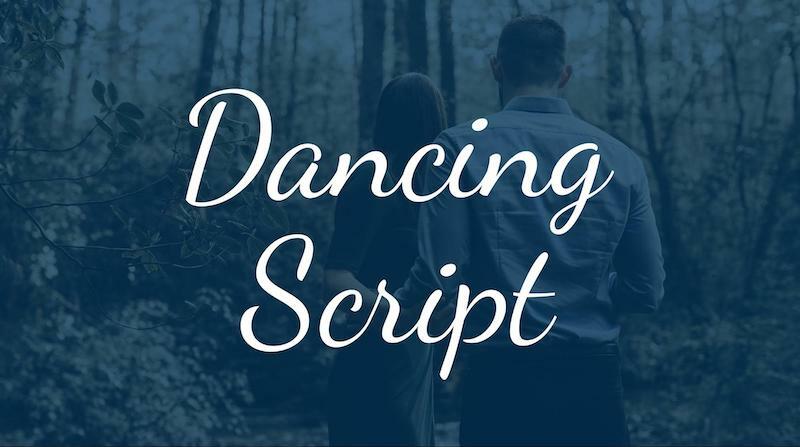 Inspired by the most popular fonts of the 1950s, Dancing Script is a very unique elegant font. And that’s saying a lot! Every letter seems to dance across the screen as you use it. With the capital letters dropping below the line and the other letters varying slightly in size. Because it deviates from the norm, I think this would pair nicely with a geometric font like Lato or Cabin. 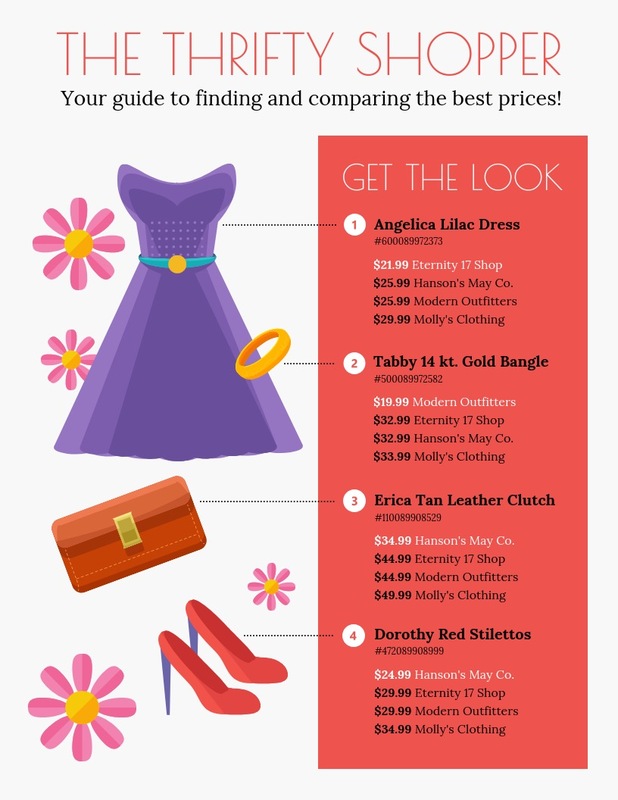 If you are looking for an elegant font that isn’t overly formal, Dancing Script is a great choice. 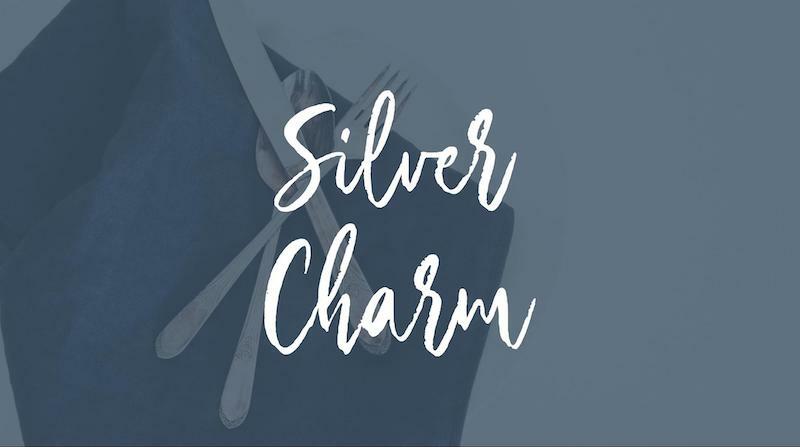 Out of all the elegant fonts included in this list, Silver Charm is the only one that includes some texture. As you can see above the designers added some embellishments and blemishes that make the font look a lot more genuine. It almost looks like you wrote this font with an old fashioned pencil. 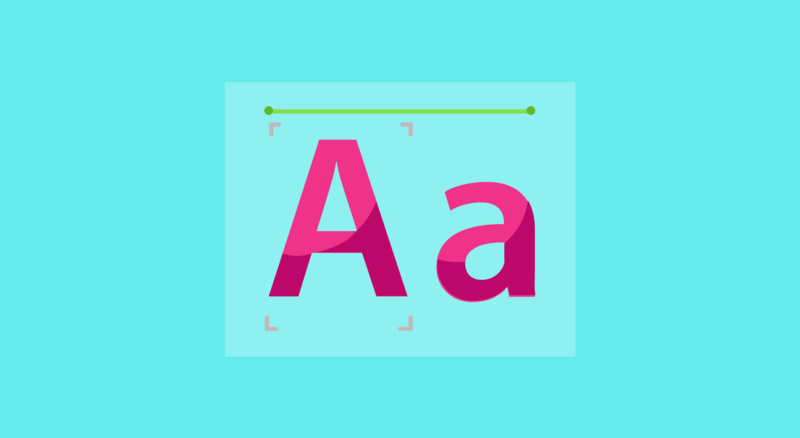 These small additions can transform a flat font into something that instantly jumps off the page. I added Arimo to this list of elegant fonts because it screams professionalism. It also feels powerful without overwhelming, which is a hard feat to achieve. 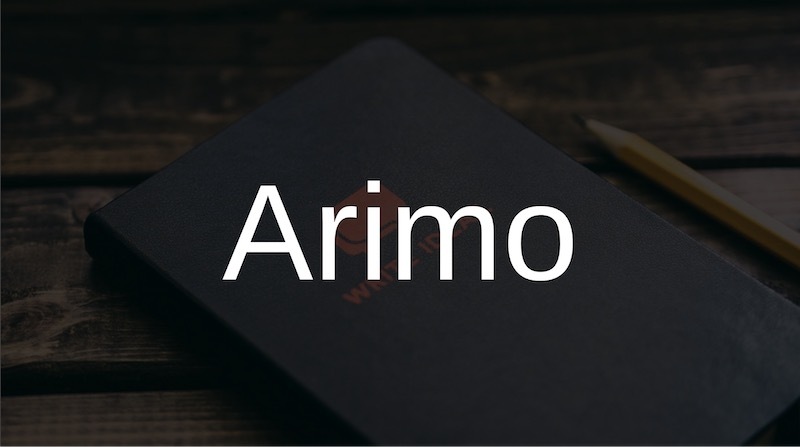 Arimo has found a sweet spot between overly formal and casual that makes it an ideal business font. 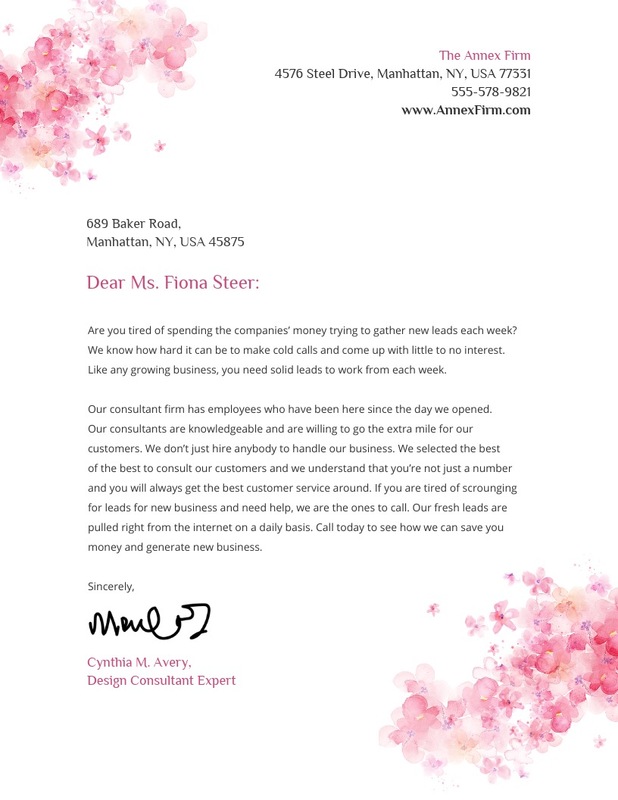 It would look at home on the top of any professional letterhead, business report or other important business documents. 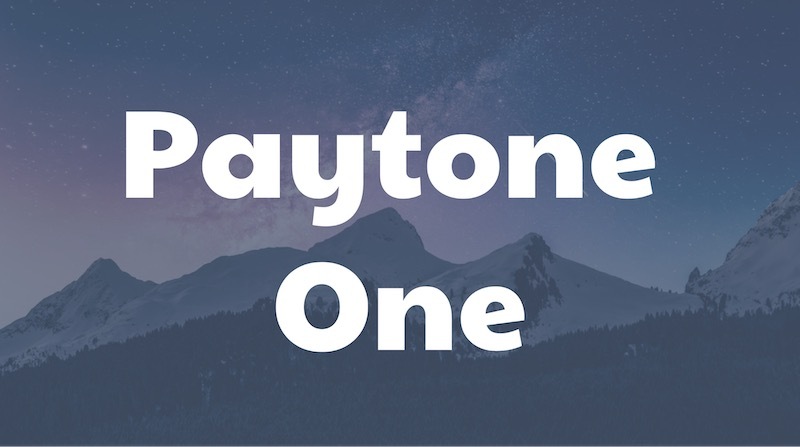 Obviously, Paytone One should really only be used as a title or header font because it’s so thick. Can you imagine trying to read a book filled with this hefty elegant font? Your eyes would give up after a few pages. Paytone One texcels as a playful display font and can be used on posters, flyers or brochures. Pair it with a less obtuse font like Montserrat or Dosis and you will have great font combination for your project. 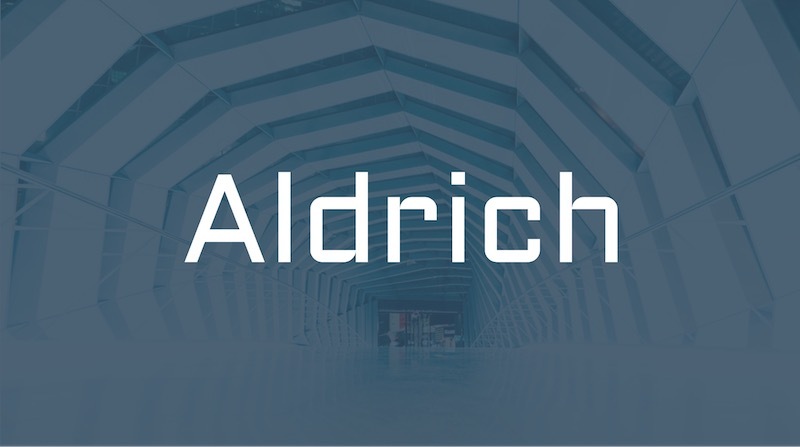 Aldrich may look like a font that you see in a sci-fi movie but it actually was inspired by early 20th Century gothic designs. The rounded letters look like something you would see carved into a museum or fancy gallery that was built many years ago. 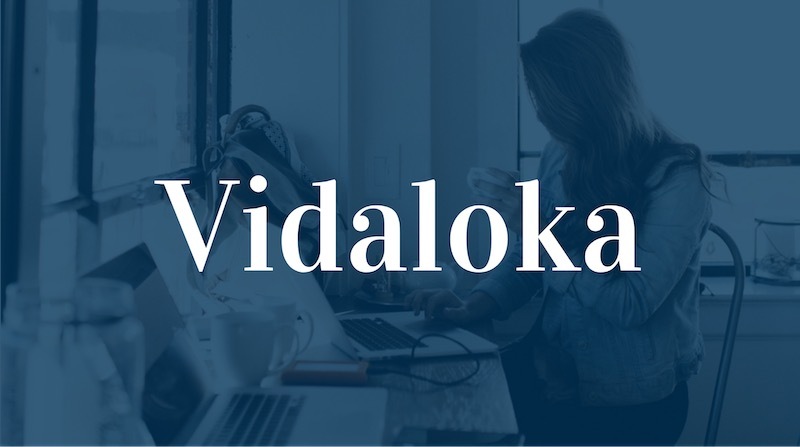 Vidaloka can trace its roots back to the 18th century when the Didone typefaces were becoming popular. Didone fonts are known for featuring strong strokes, consistent serif weights and a large contrast between thick and thin lines. 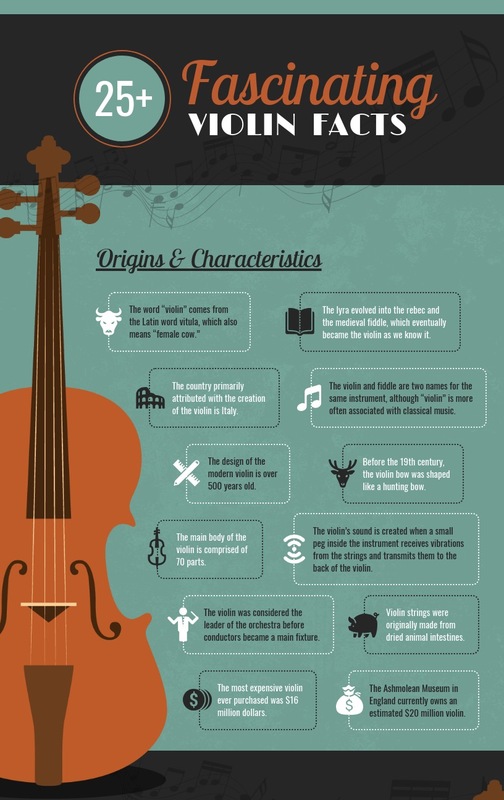 You can see all of those features in the example of Vidaloka above! Additionally, these kinds of elegant fonts are used in a lot of printing and magazines because they are so eye-catching. I would recommend only using this, and other Didone typefaces, as large headers or titles on annual reports, ebooks or other multi-page designs. Otherwise, the thick and thin lines of each letter will run together. 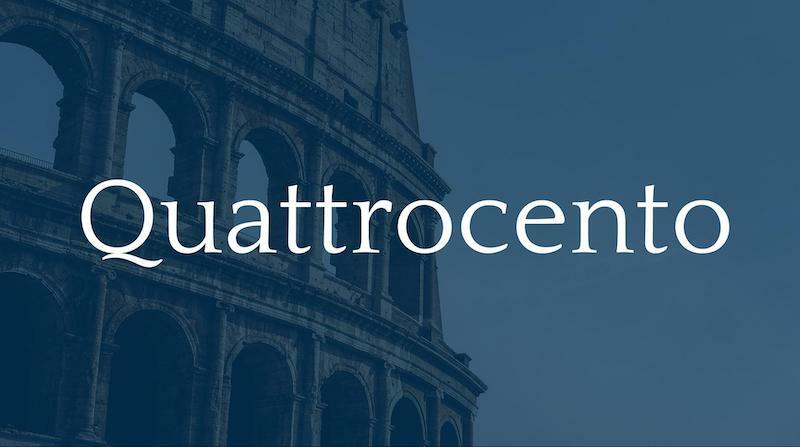 Quattrocento sounds like the name for a fancy Italian sports car, but it actually refers to the art and creative works produced in 15th century Italy. You can see those classical influences in each letter of this typeface. 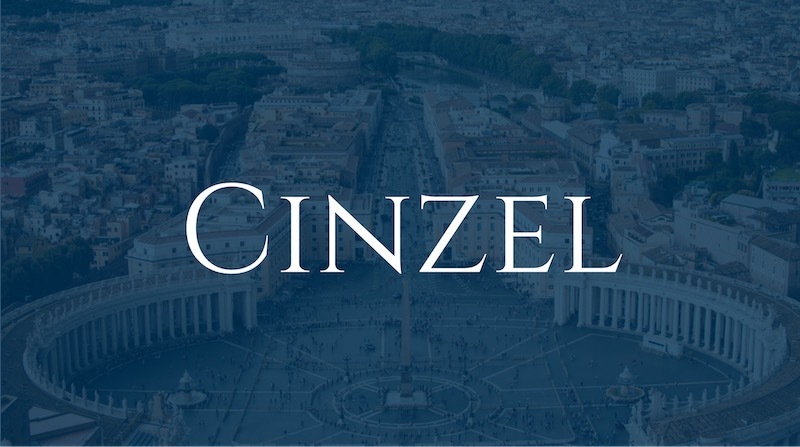 Unlike the other Italian inspired font, Cinzel, this font has serifs that are more rounded and flow into the stroke of each letter. This small alteration makes the typeface feel less aggressive than other classic fonts. Plus, the designer made sure that this font can be used as a body, header or display font. 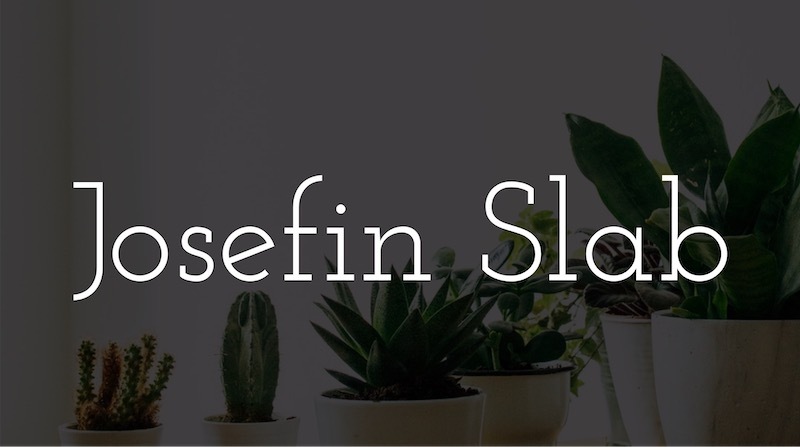 Yes, Josefin Slab is the sister font of Josefin Sans. You can tell each of them apart by looking for the small serifs on Josefin Slab, or lack thereof with Josefin Sans. According to the designer, Santiago Orozco, Josefin Slab takes a lot of its inspiration from typewriter fonts of the early to mid-1900s. However, I feel like this font could have been created last year by a trendy startup. It’s very modern but the tiny serifs make it feel professional at the same time. 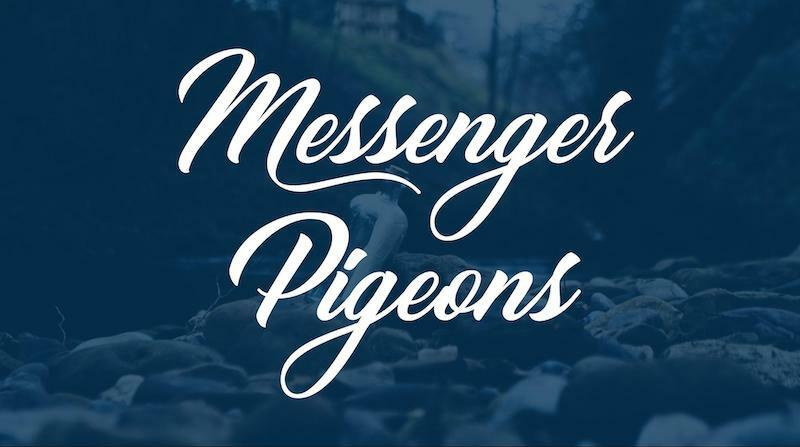 Named after the pigeons that would carry messages back from soldiers during the World Wars, Messenger Pigeons feels like it came from a different time. Honestly, this font looks like you could find it on the side of a WW2 bomber as well. Something about this calligraphy inspired font makes you instantly think about that era. 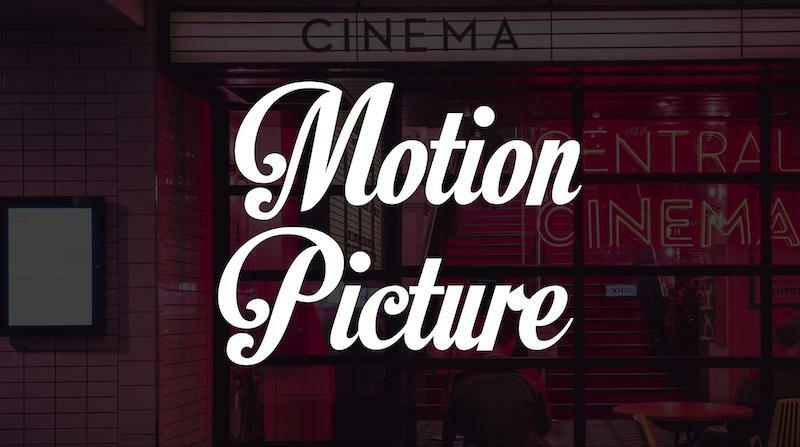 A font like this could be used to invoke feelings of nostalgia or add a retro theme to your design projects. Also unlike other script fonts, Messenger Pigeons is pretty easy to read when used as a body font too. 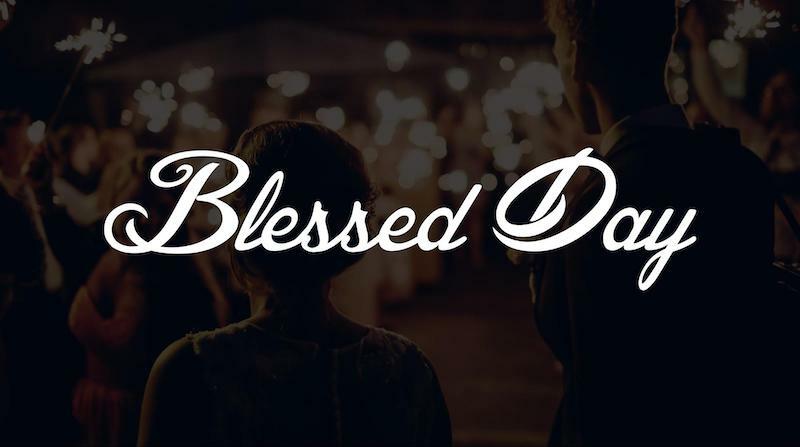 With a name like Blessed Day, I would expect this elegant font to be used at a lot of weddings and formal events. 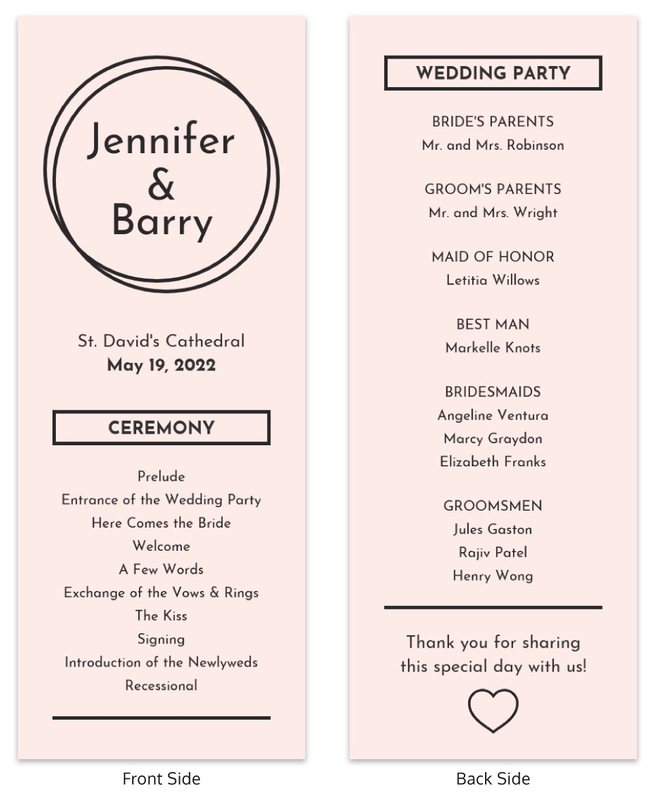 Add this font to invitations, announcements or other prints to make everyone feel blissful. Additionally, according to the internet, this font can be used to craft some interesting tattoos! 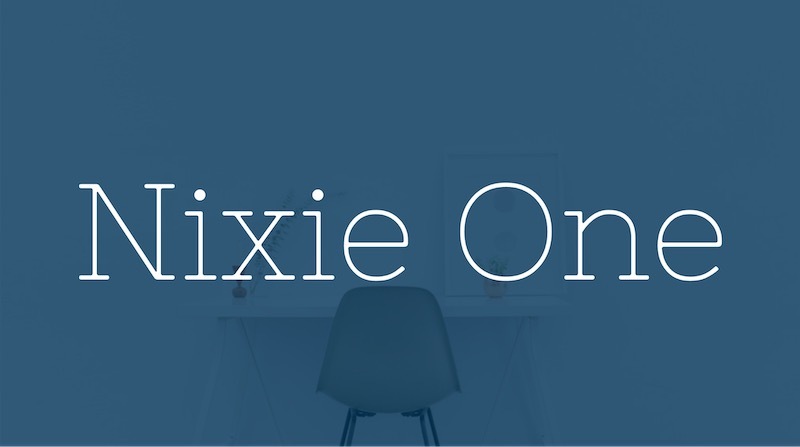 Nixie One was created by mashing up classic typewriter fonts and futuristic neon lettering, according to its creator Jovanny Lemonad. He says that this combination may sound odd on paper, but like other innovative things, it looks incredible in the real world. 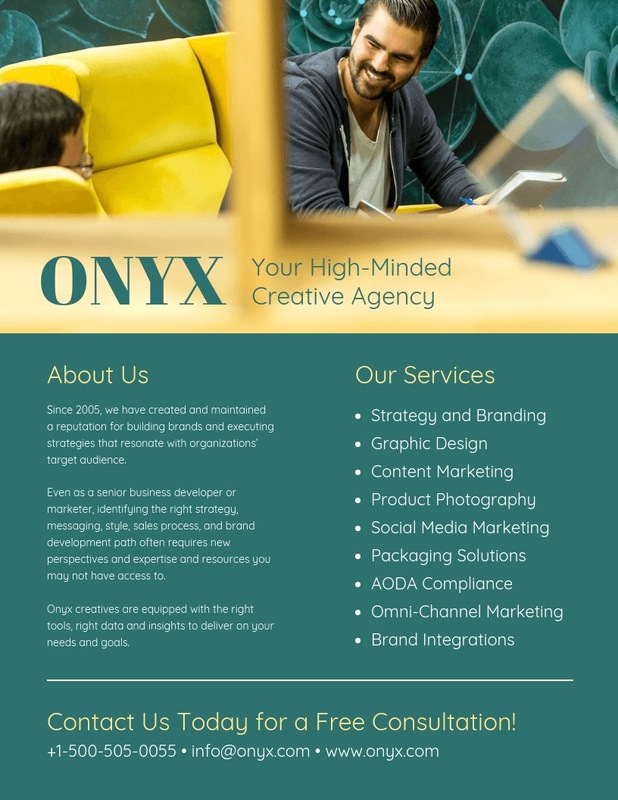 In the presentation below, the designer used Nixie One as a minimalist header font. The body font that they selected wasn’t very heavy, but because Nixie One uses such thin strokes, the elegant font standouts immediately. This unorthodox combination fits their high fashion theme very well too! Limelight feels like it came straight from the golden age of Hollywood. I wouldn’t be surprised if it could be found on classic movie posters of the time. The designer, Nicole Fally, actually used the film industry of the 1920s as a starting point. She nailed the general theme of this time. 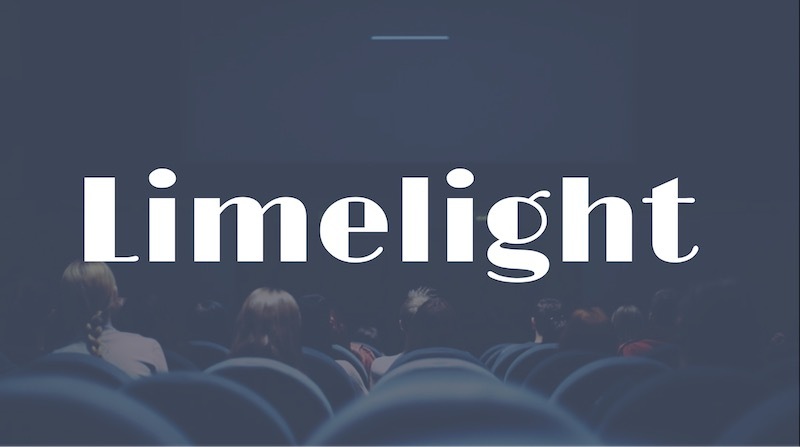 Like Limelight, Motion Picture used the 1920s movie industry as inspiration. Motion Picture feels magical and whimsical. Like something that Disney would use in one of their original animated movies. It’s a classic elegant font, just like those movies. 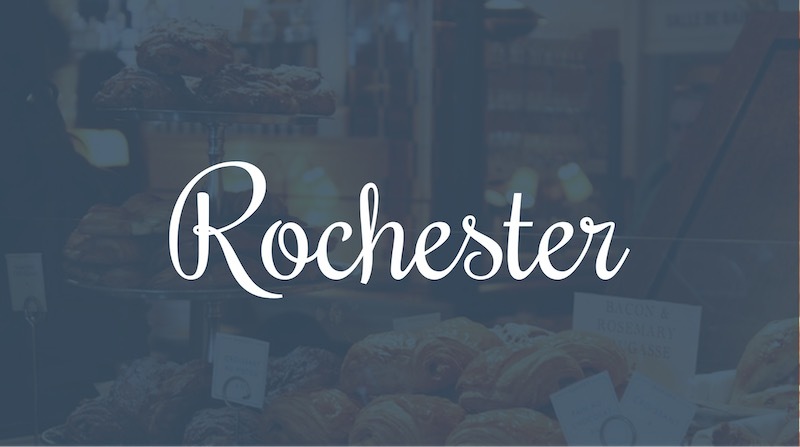 Created by Sideshow, the Rochester font should be used when you want to add a bit of sophistication or professionalism to your designs. While many handwritten fonts may look less professional than something less showy, Rochester breaks the norm. I believe that this is because instead of featuring long flowy strokes, each letter is very small and compact. This compactness makes the font really easy to read. 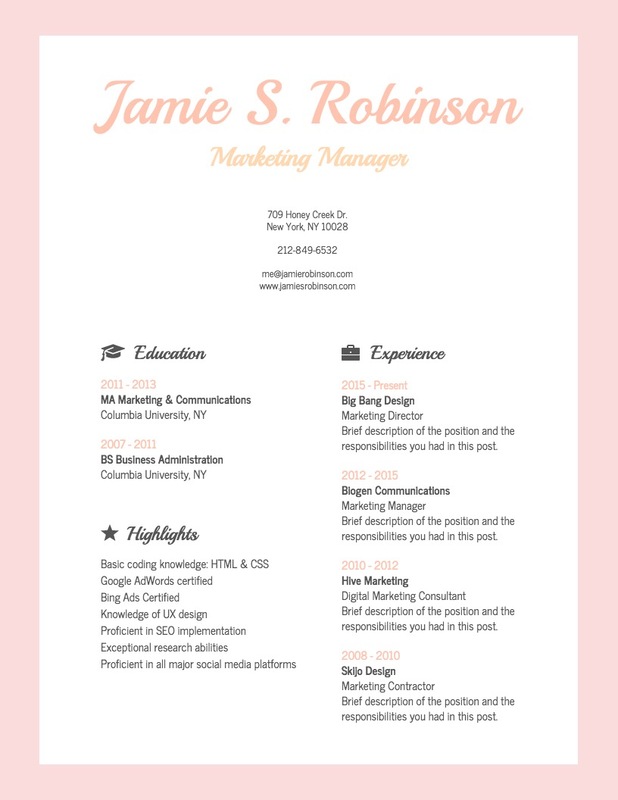 Additionally, just because it feels professional that doesn’t mean you still can’t use it as a creative font! Rozha One was selected for this article because the whole typeface is very unusual. Not many elegant fonts have extremely thin serifs while the rest of the letter is very thick. Additionally, sometimes the capital letters are the same size or smaller than the lower case letters, making this font extra interesting. 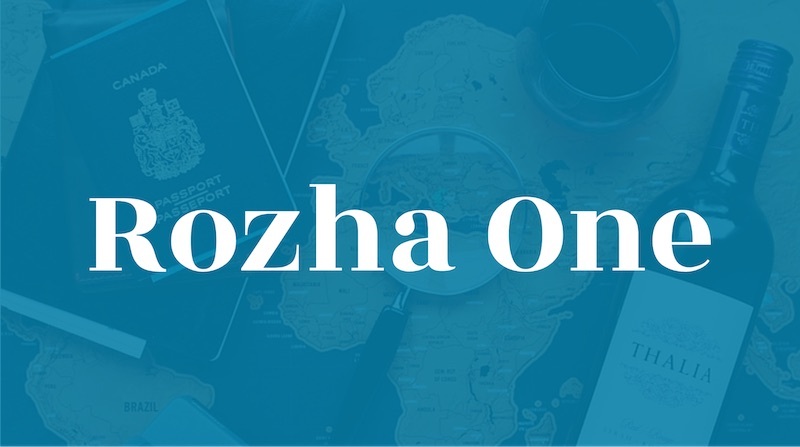 This uniqueness makes Rozha One a perfect display font to be used on infographics, blog headers, poster and more. 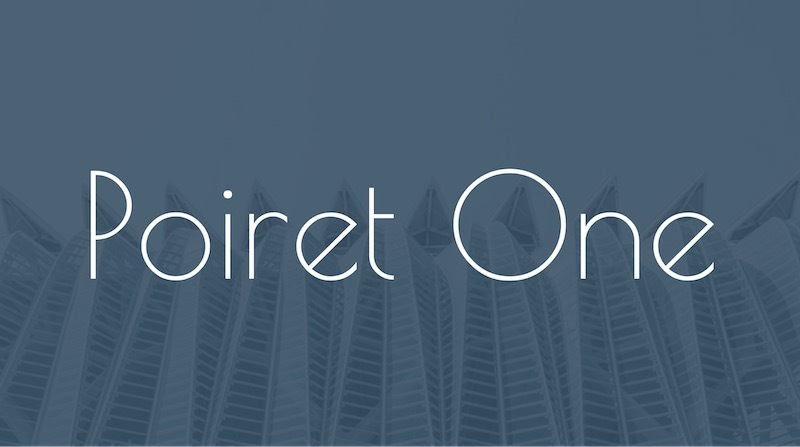 Poiret One was created by Denis Masharov and is one of my favorite minimalist fonts. I think the way that he crafted the lower case “e” is what makes the font really stand out as well. Not many other geometric fonts use such a harsh angle on one of their most used letters. Poiret One should be used as a title or header in your graphics. The thin strokes will make it very hard to read if you try to use this elegant font with your body text. In the advertising poster below, they actually use Poiret One as the main focal point of the entire design! 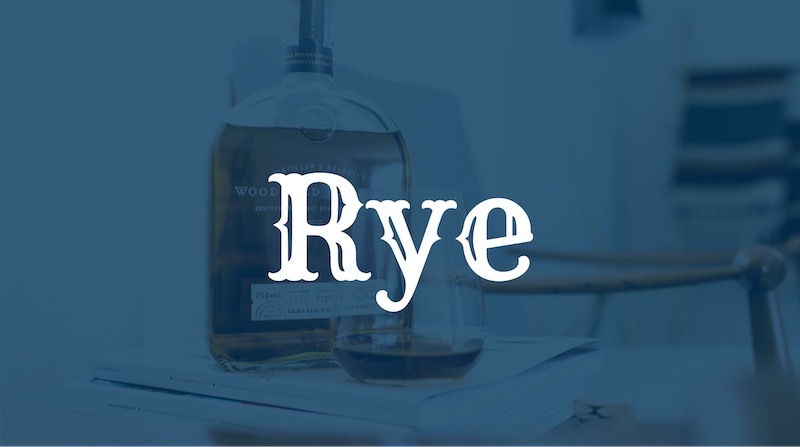 Rye reminds me of a typeface you would see in your favorite Western movie. It could be used on a whiskey bottle or a poster, but this font feels very old. The designer actually states that those were some of the main inspirations she used while designing this elegant font. Rye is an ideal title or header font because it’s so unique and bold. Honestly, there isn’t another font like it in this entire article. 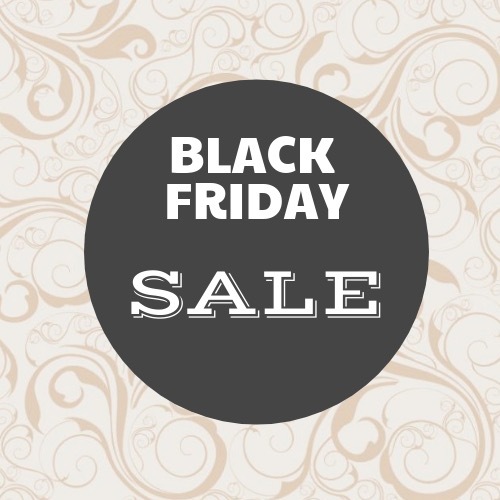 Just remember to make sure that this font fits the theme of your graphic. You made it to the end! This is one of my longer articles, so I commend you for the effort. Hopefully, you learned a lot about elegant fonts and enjoyed some of the histories of each typeface.